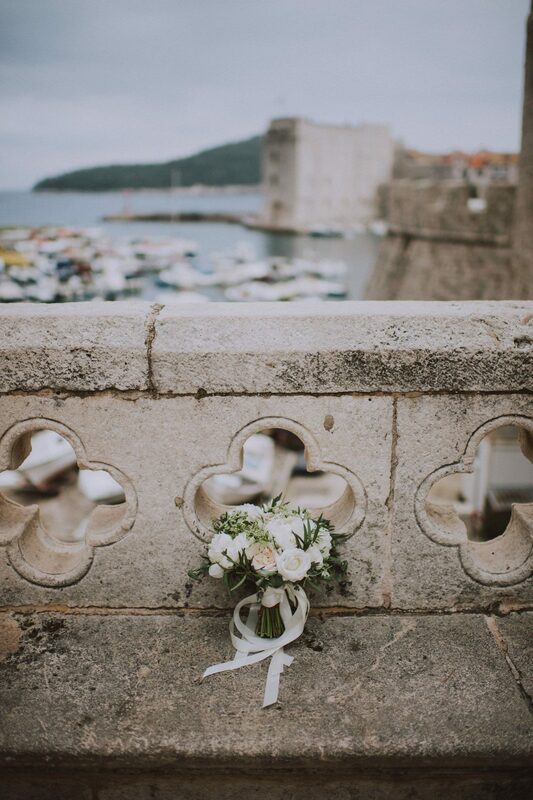 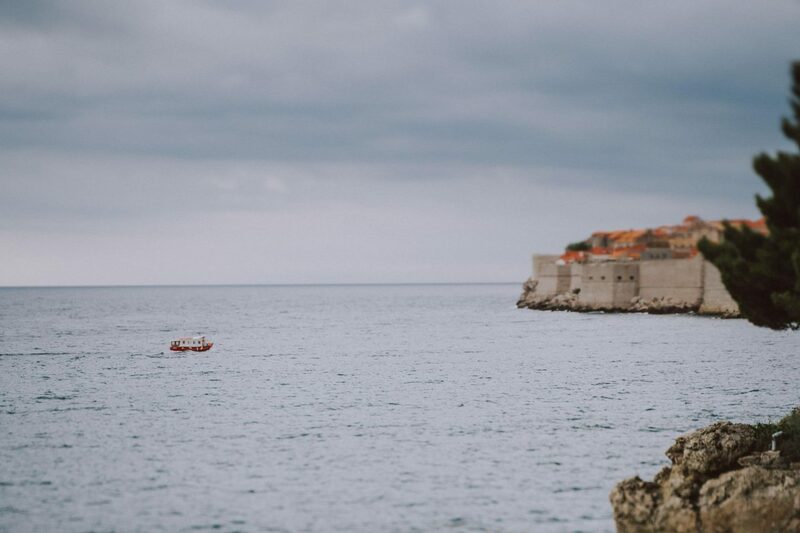 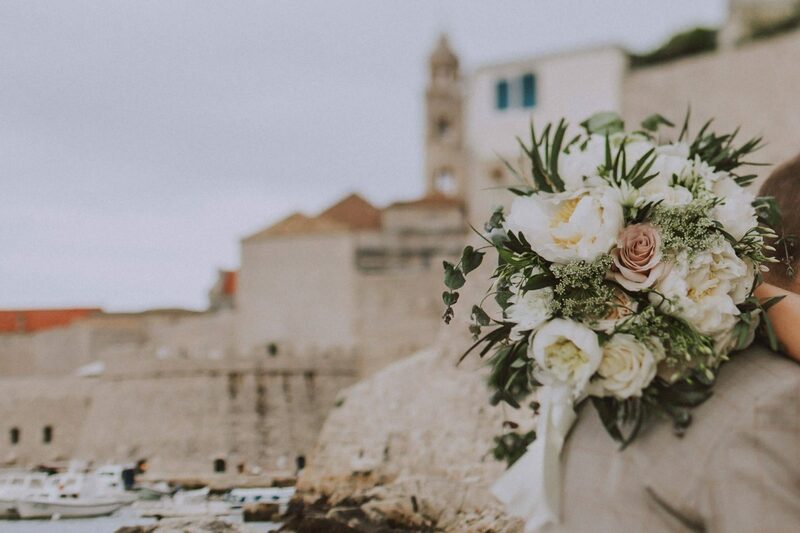 Let’s be honest, Dubrovnik is probably one of the most beautiful places to get married in Croatia. 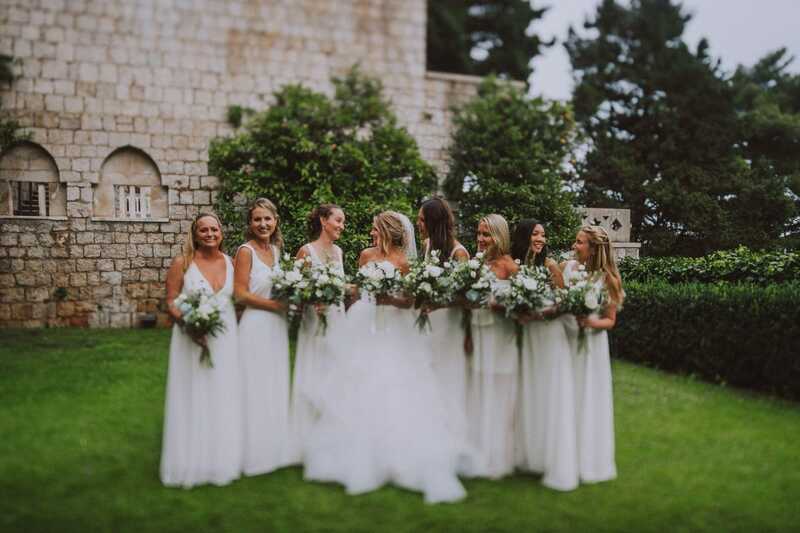 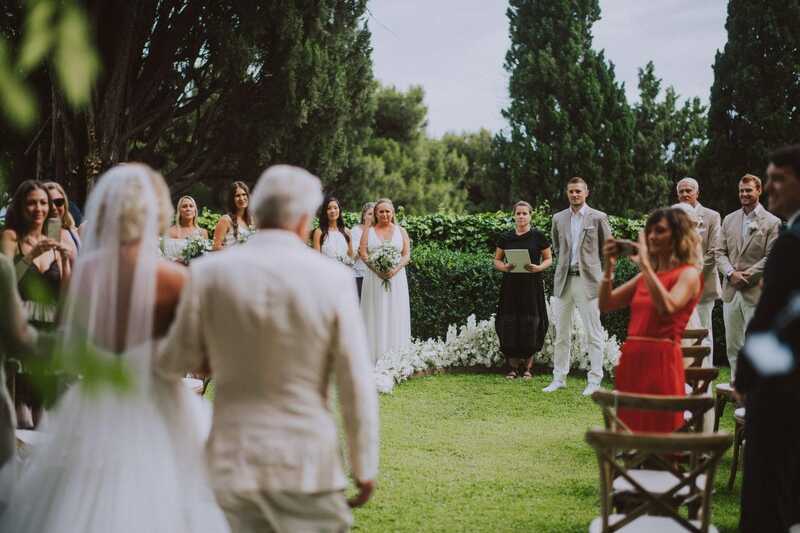 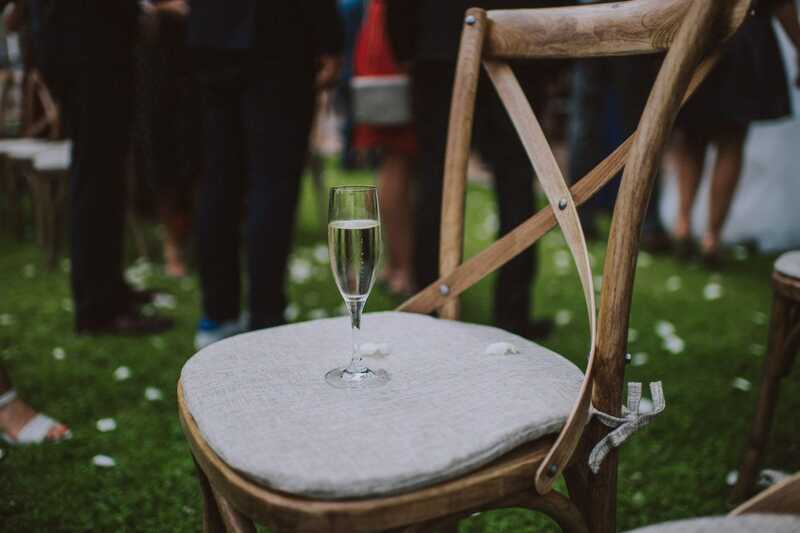 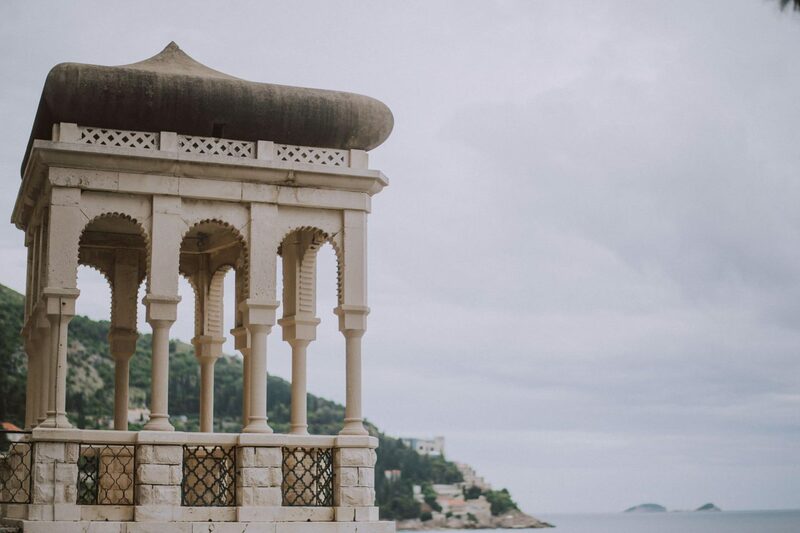 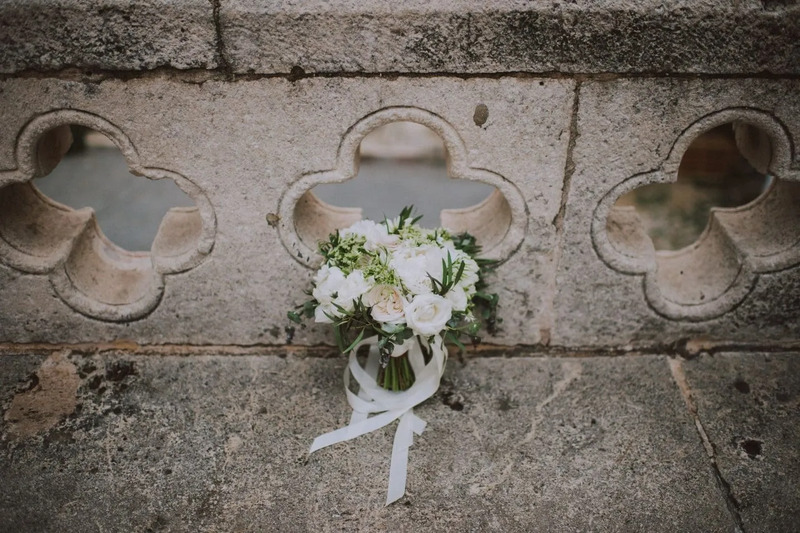 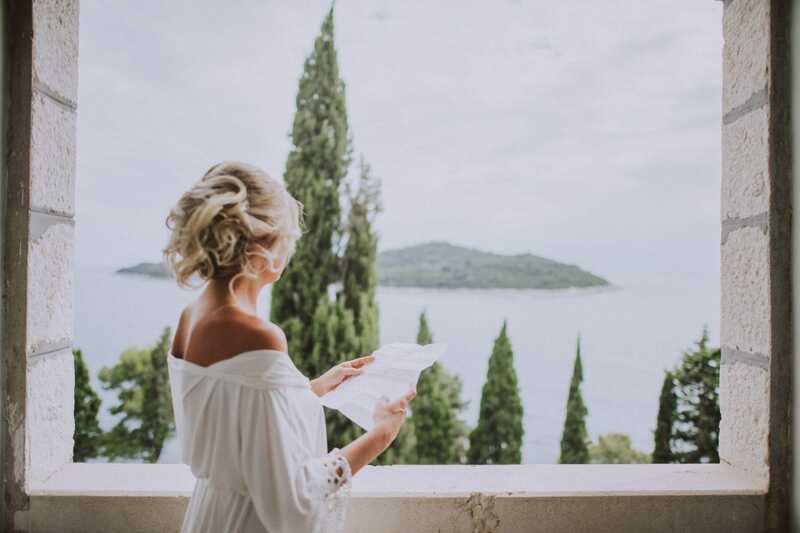 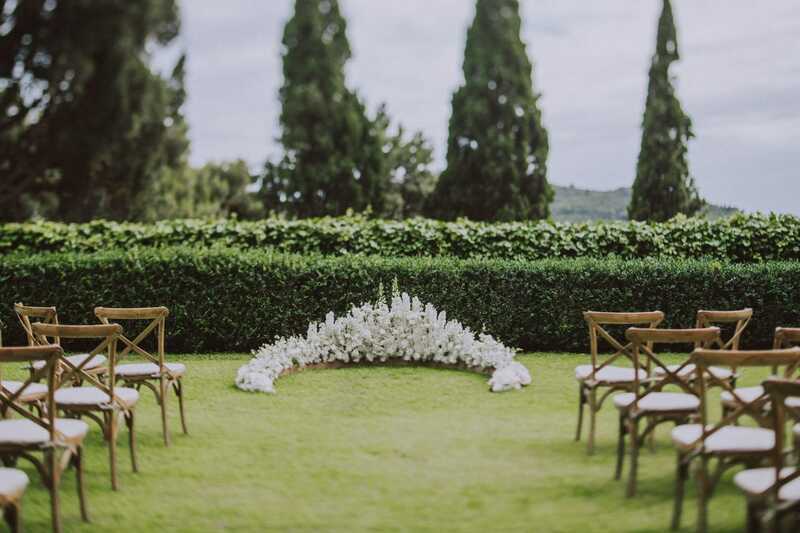 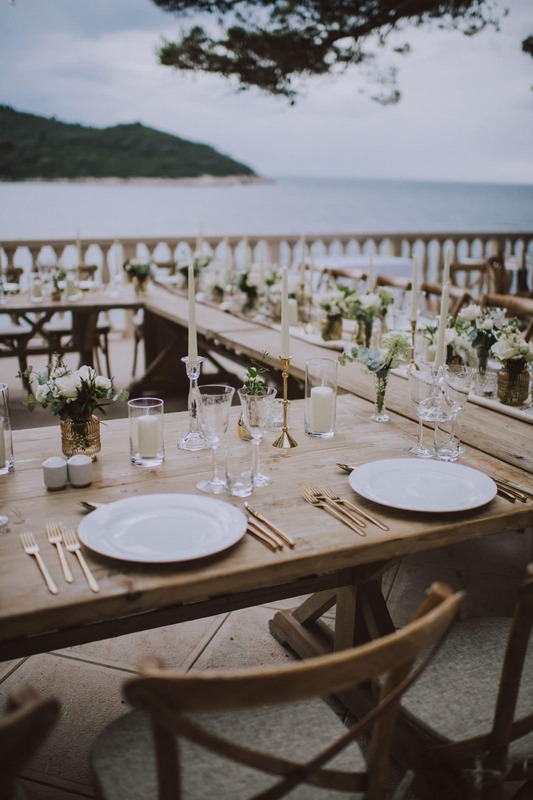 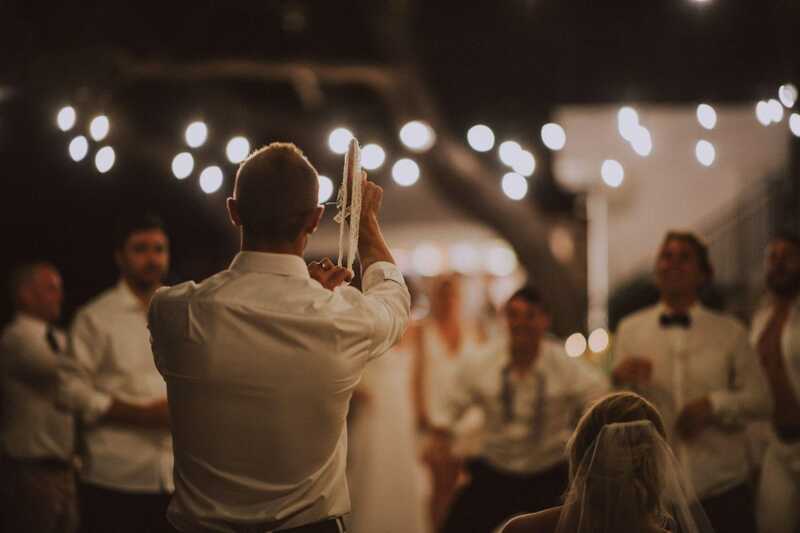 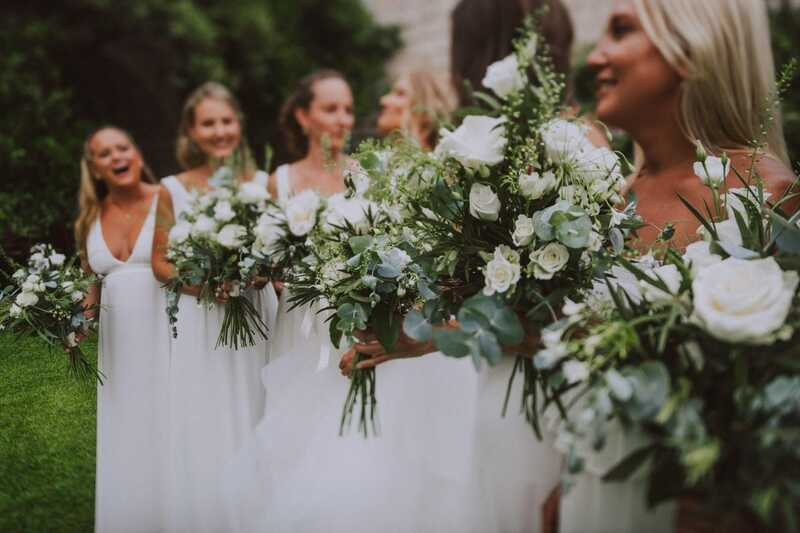 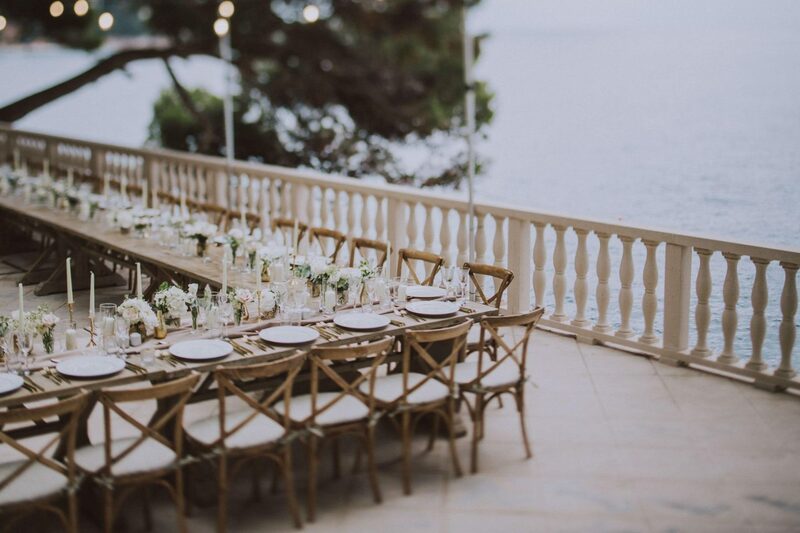 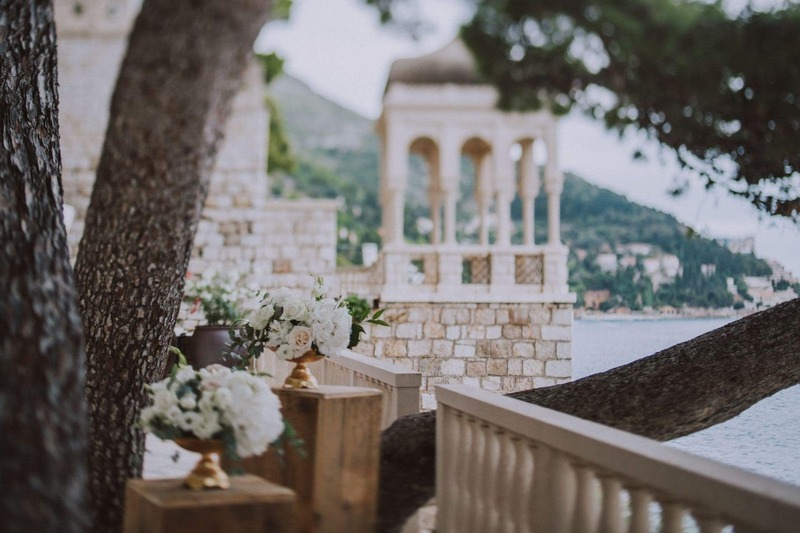 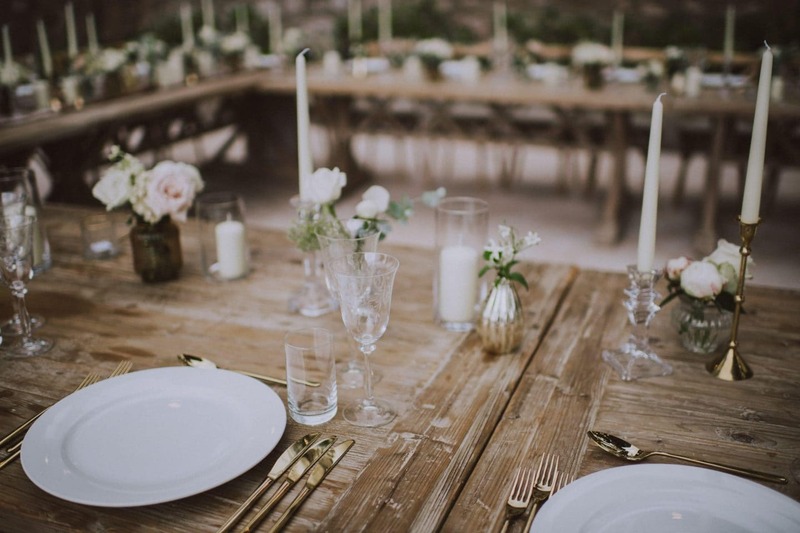 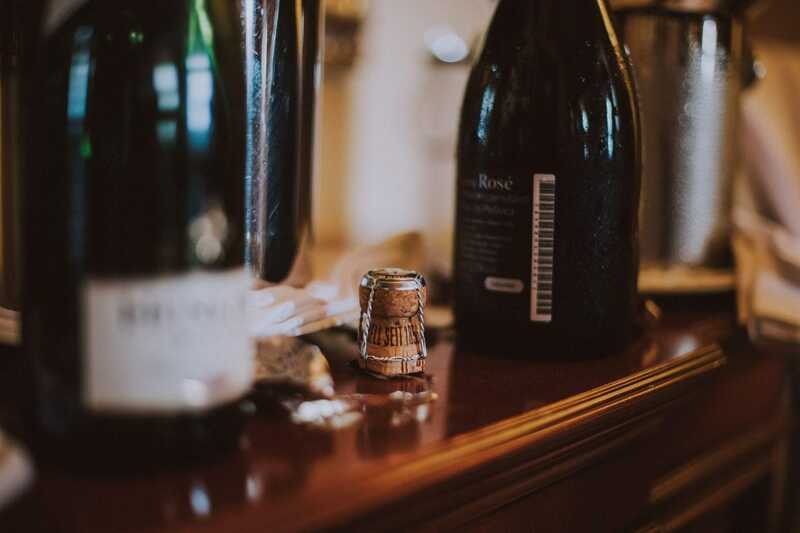 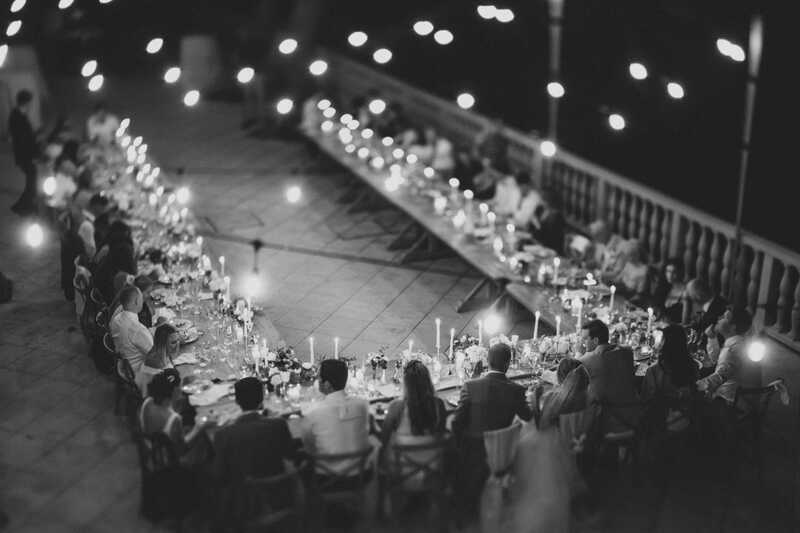 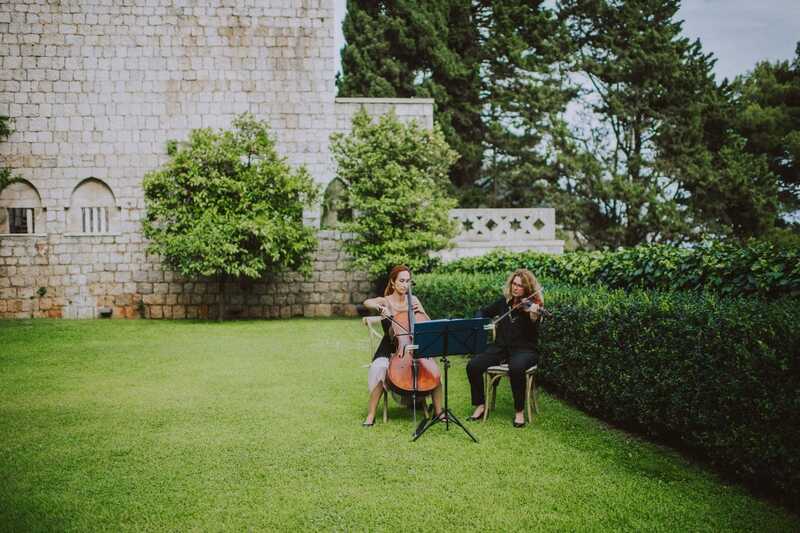 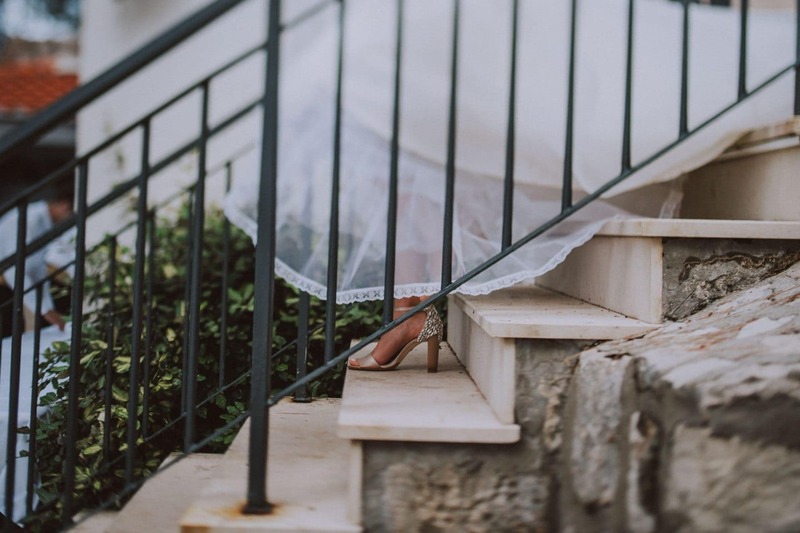 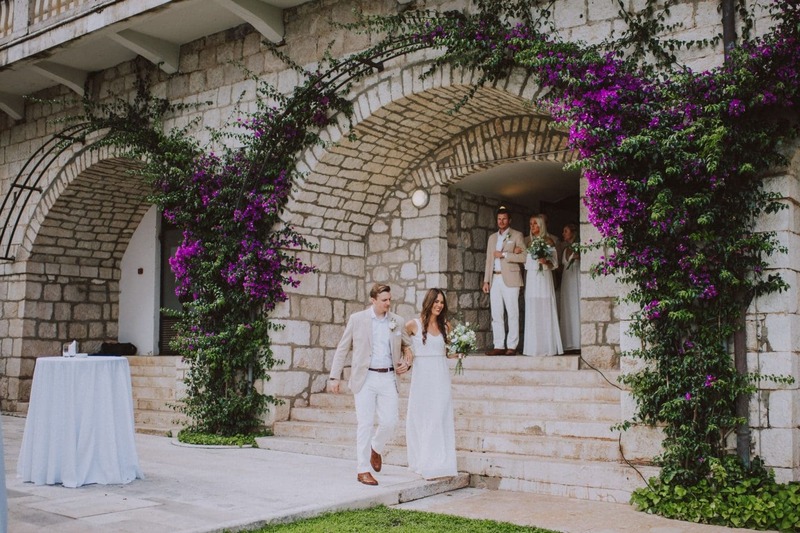 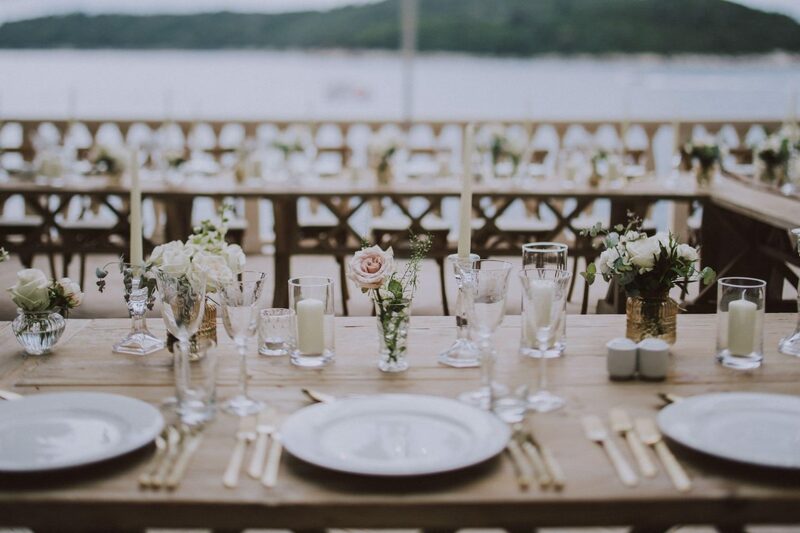 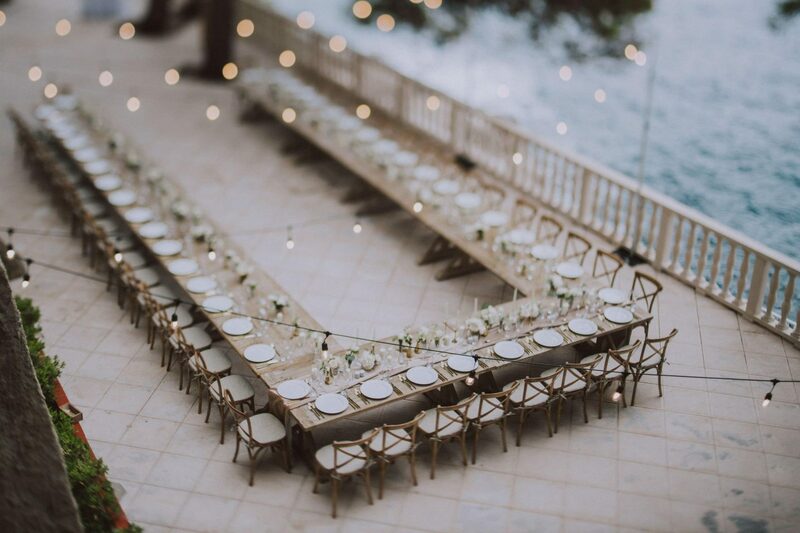 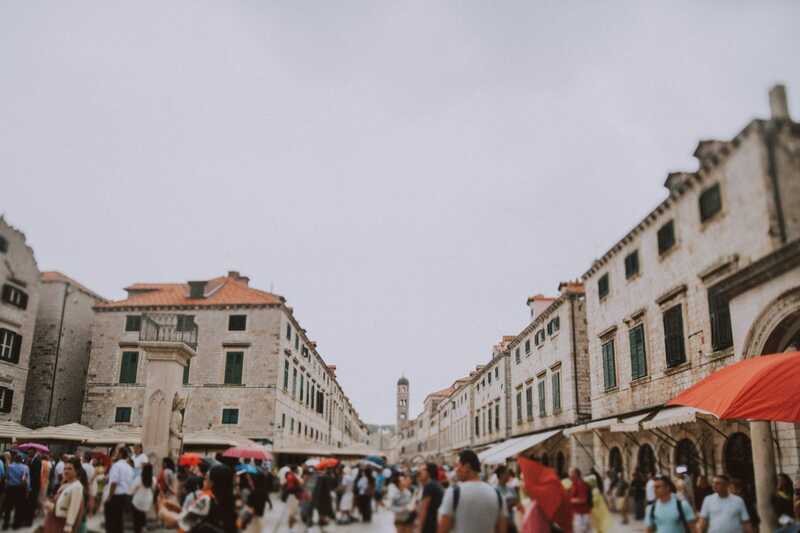 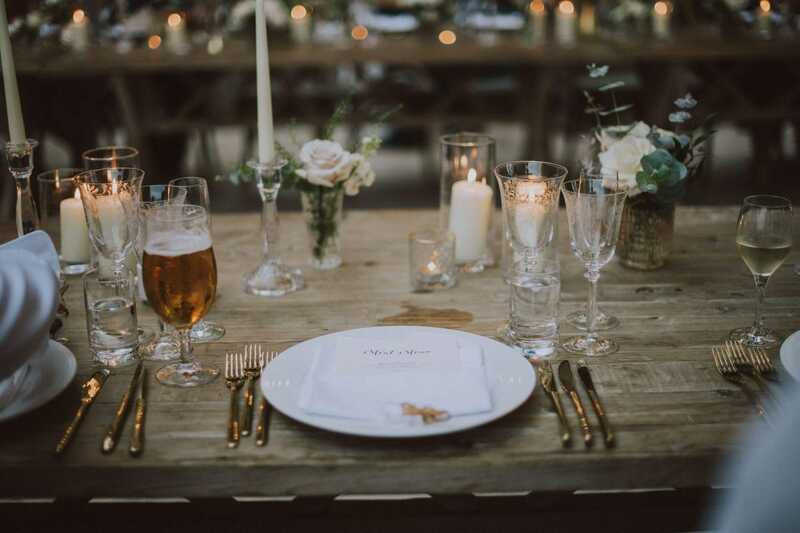 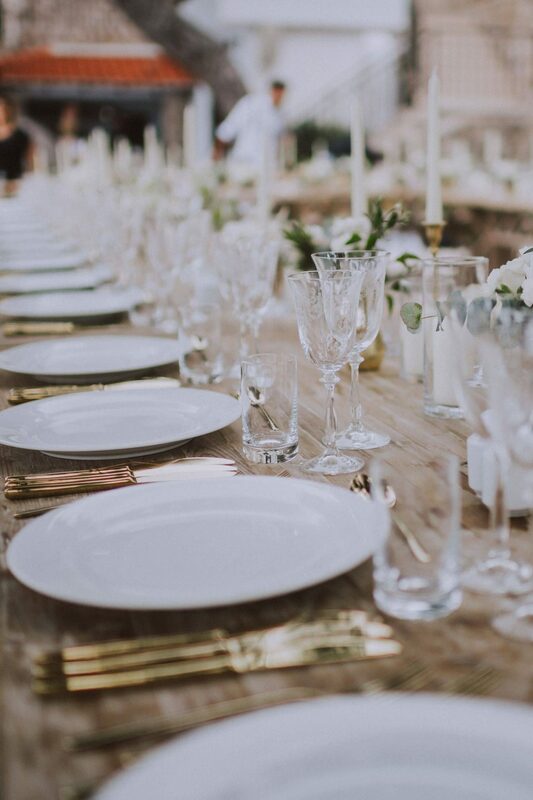 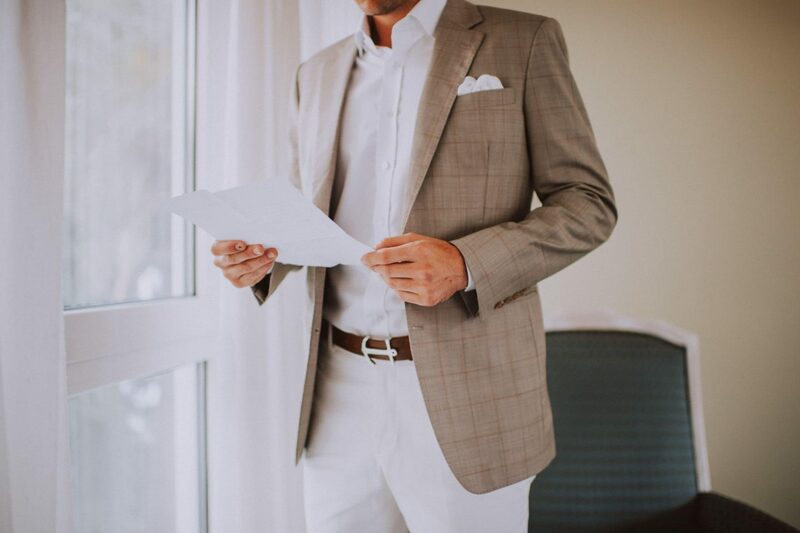 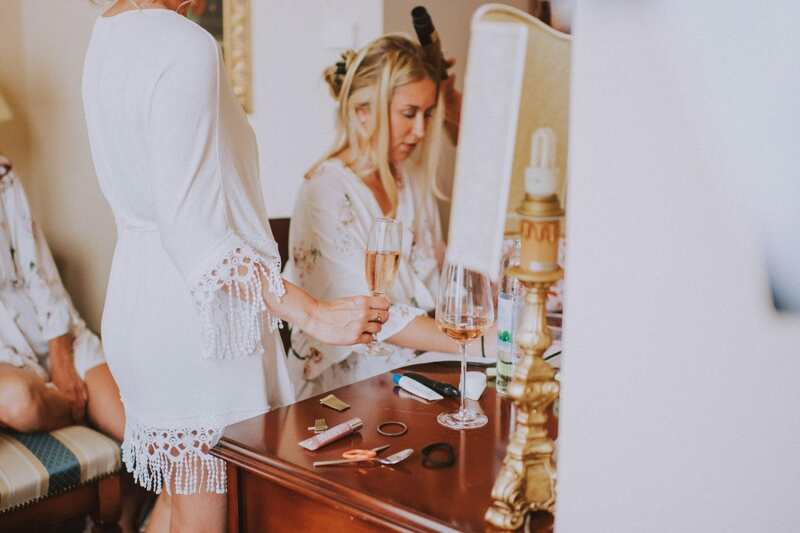 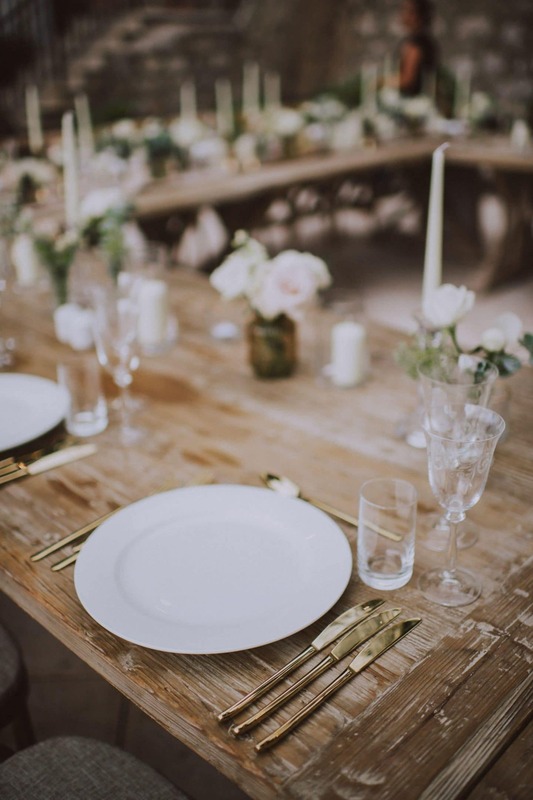 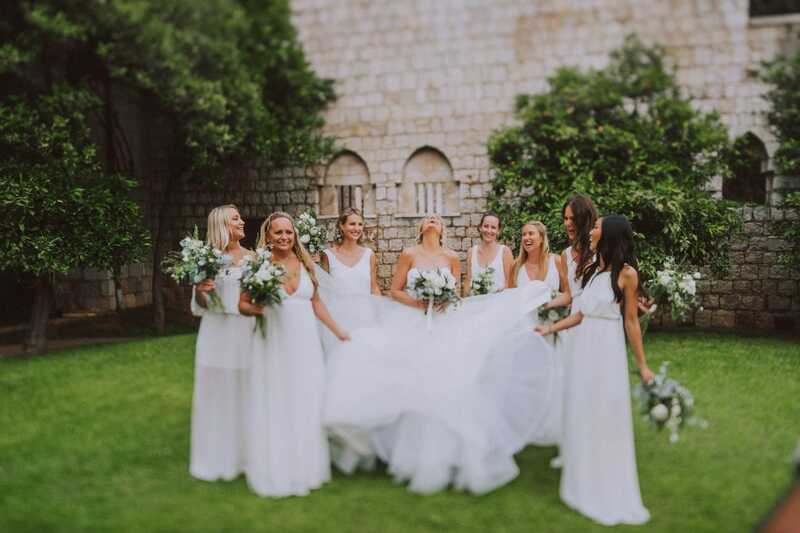 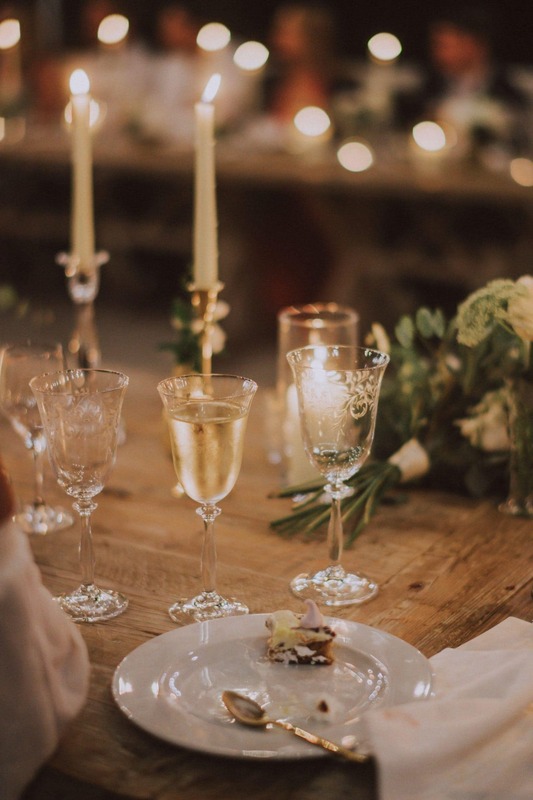 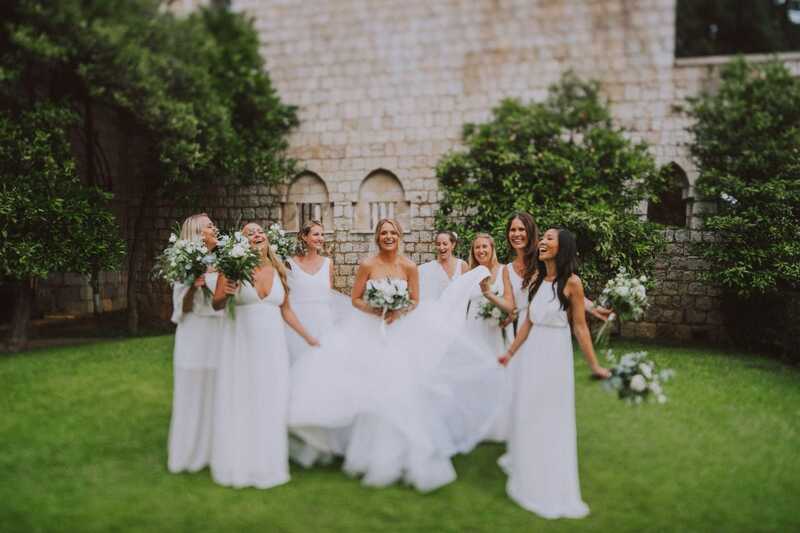 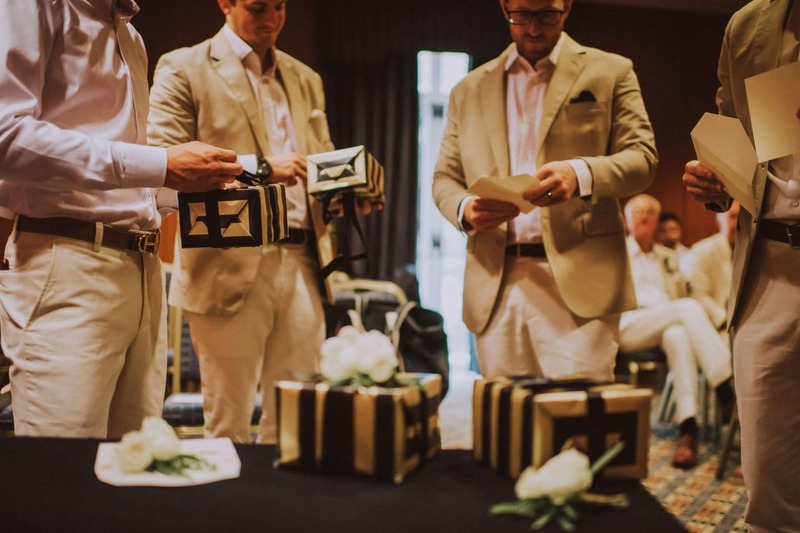 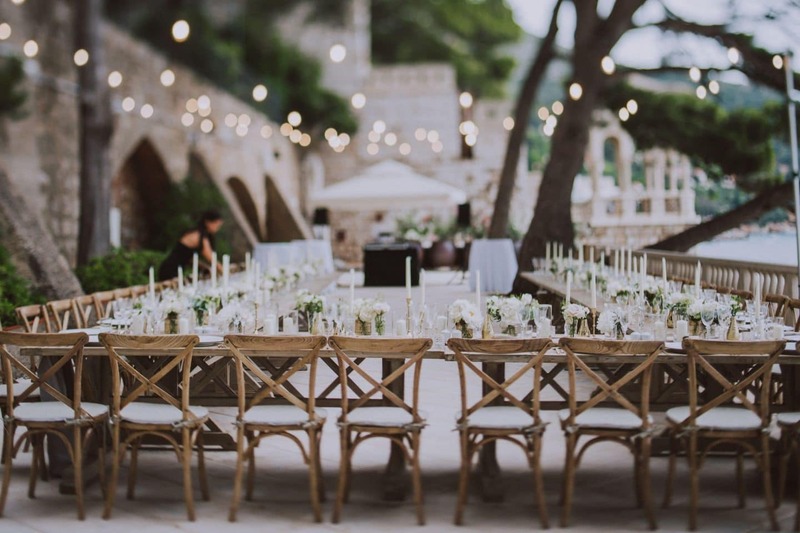 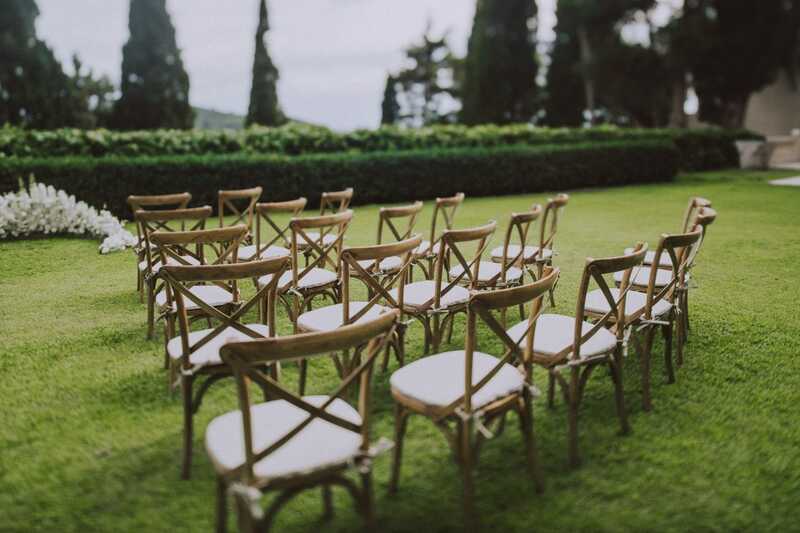 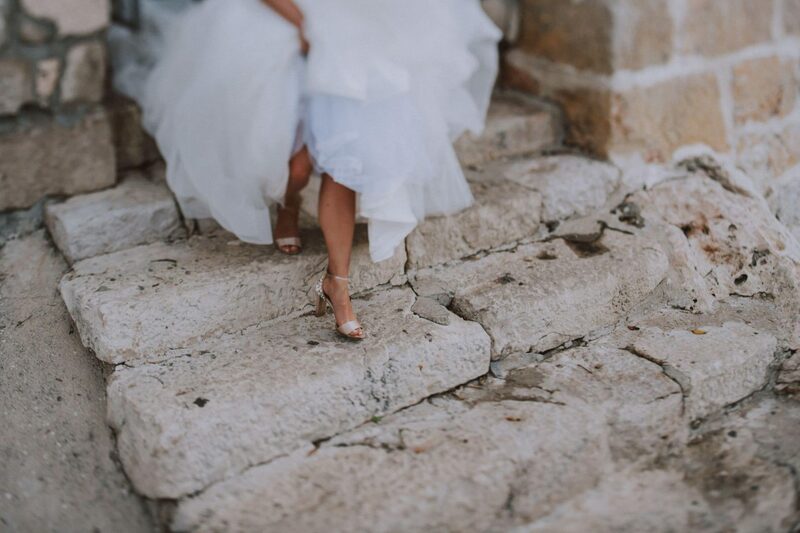 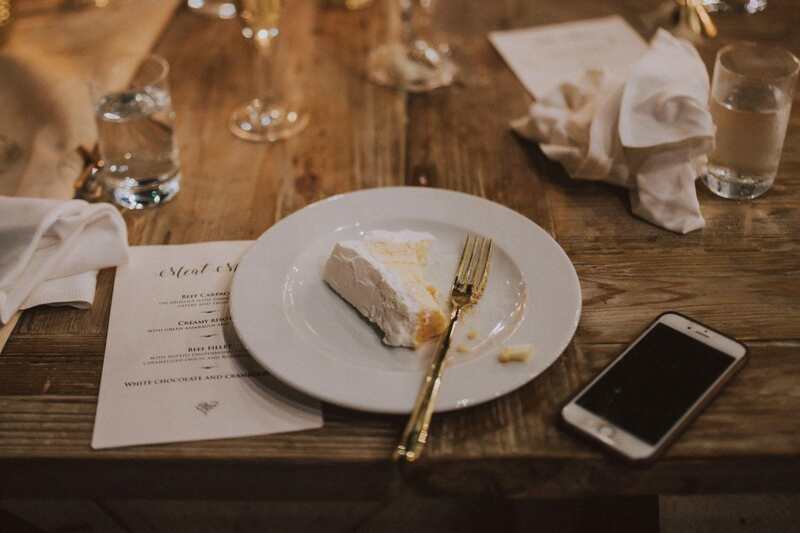 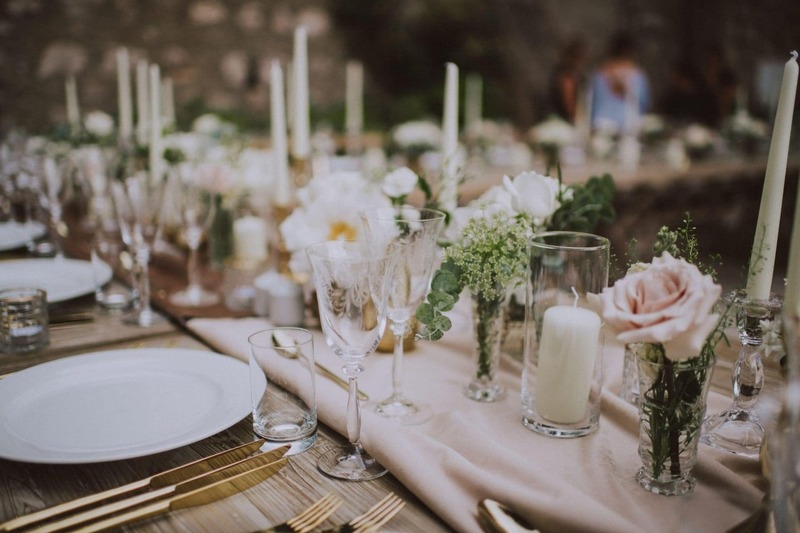 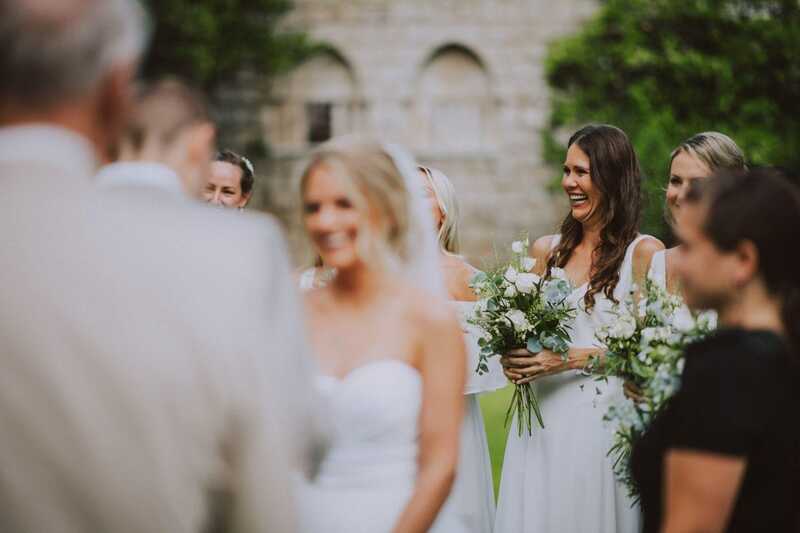 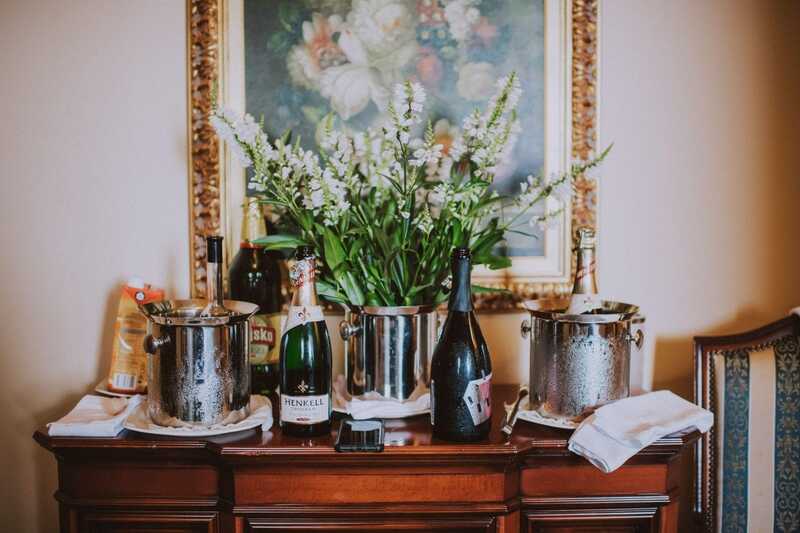 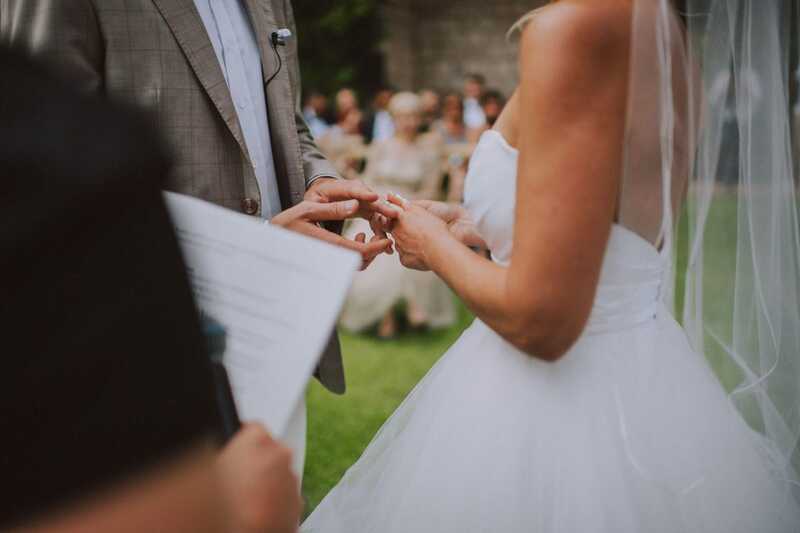 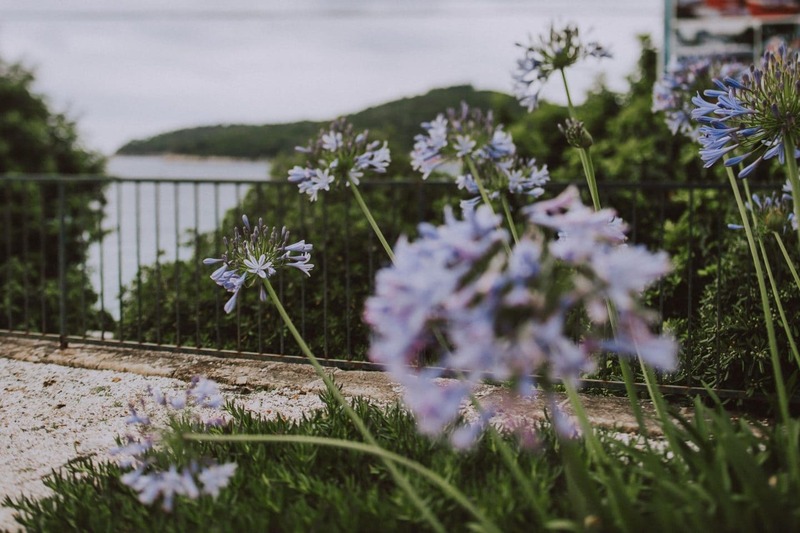 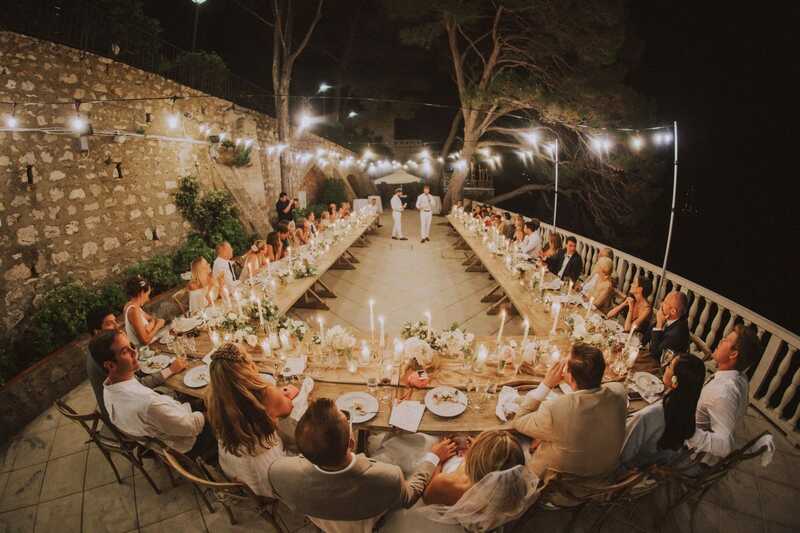 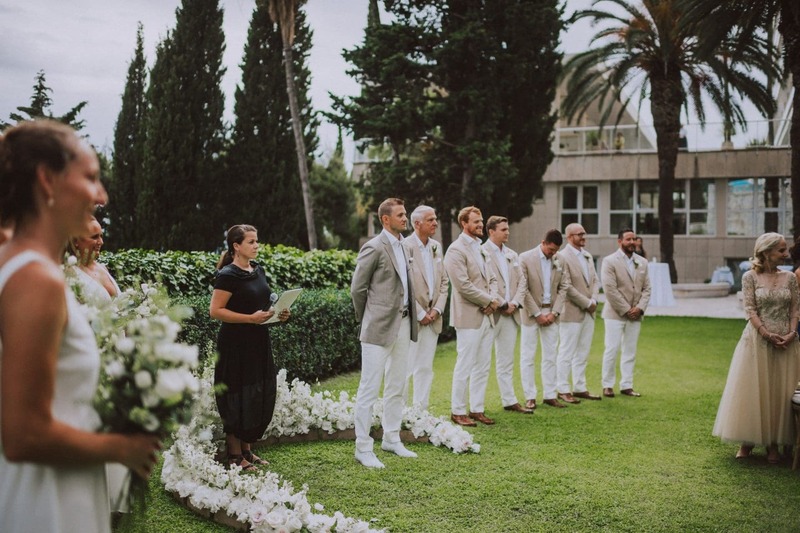 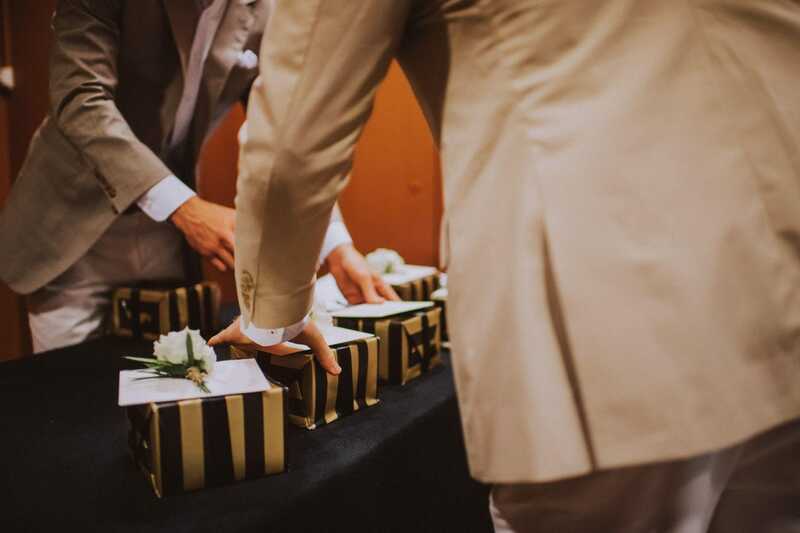 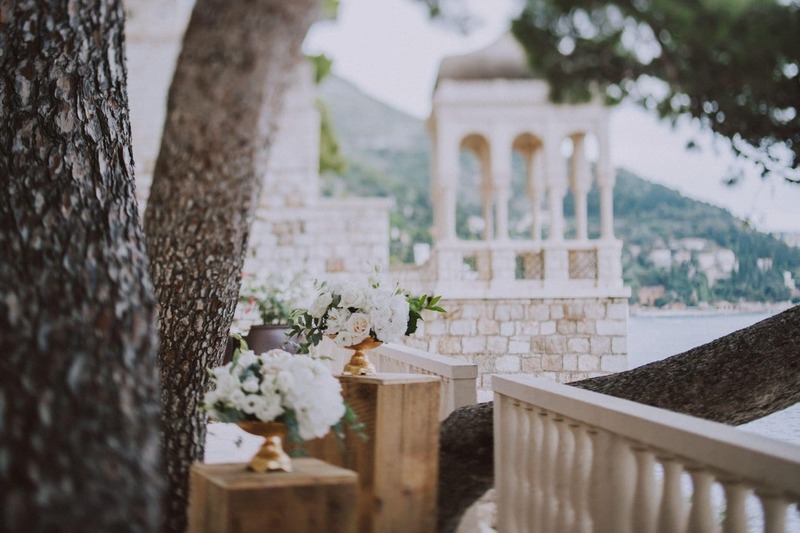 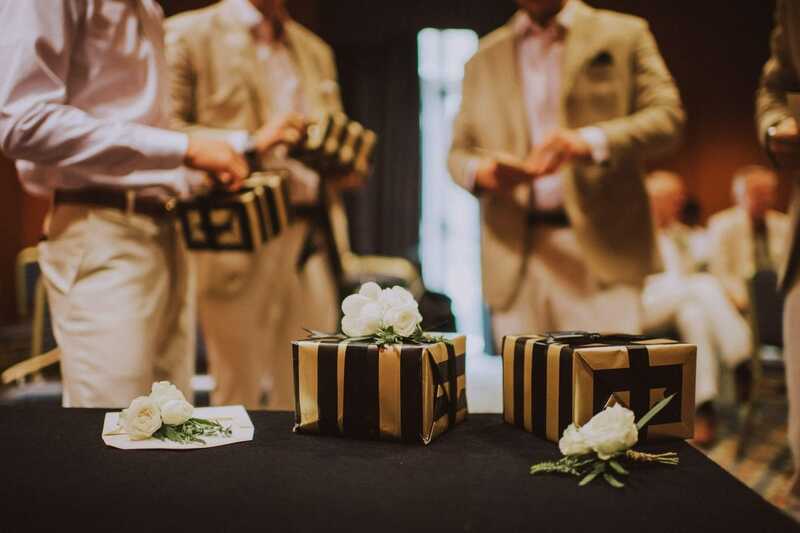 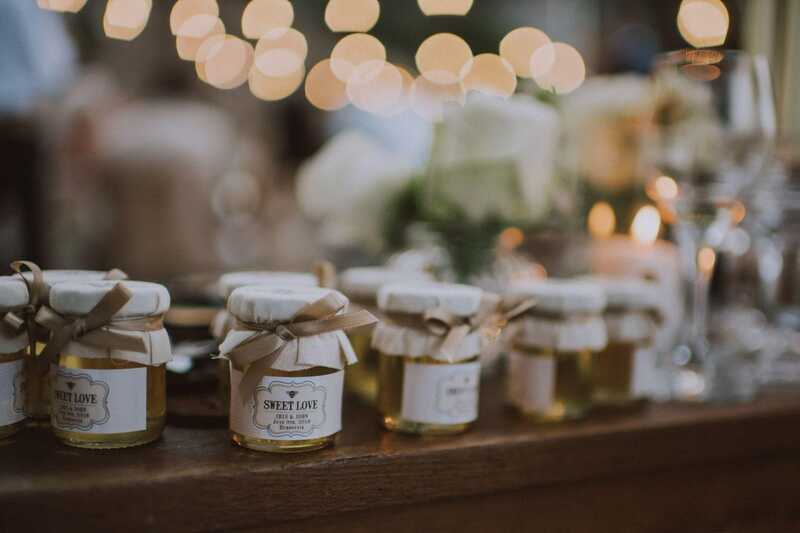 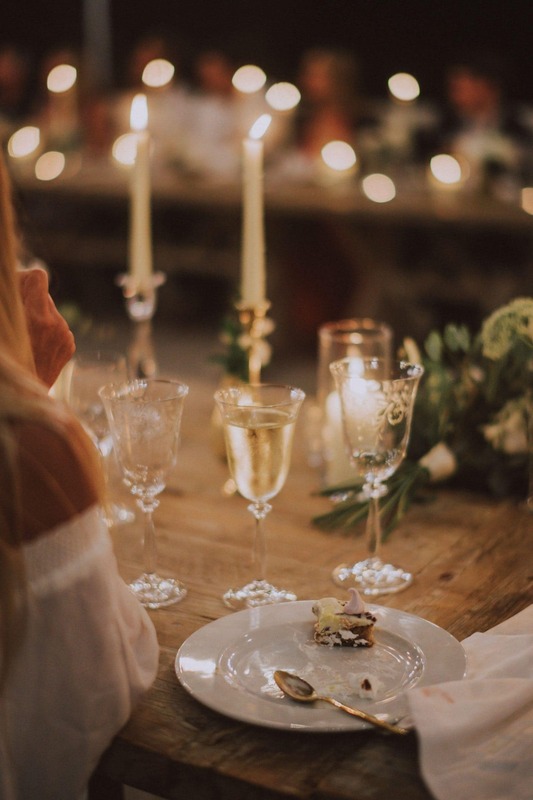 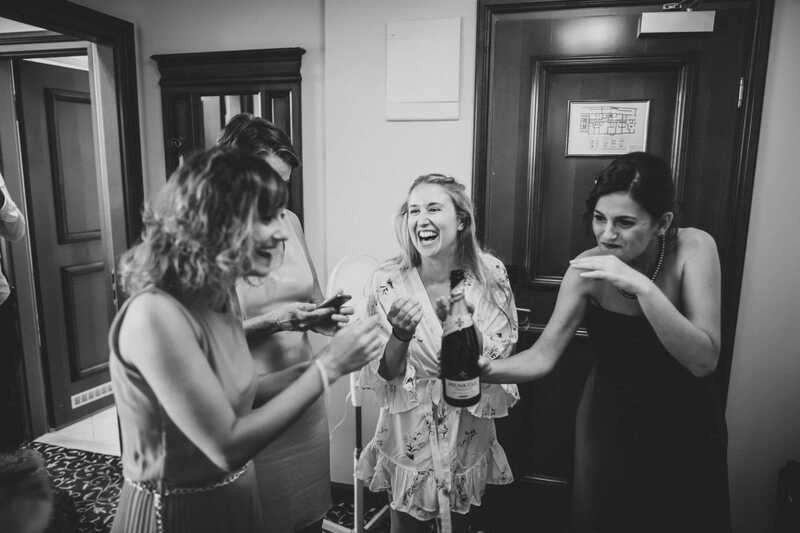 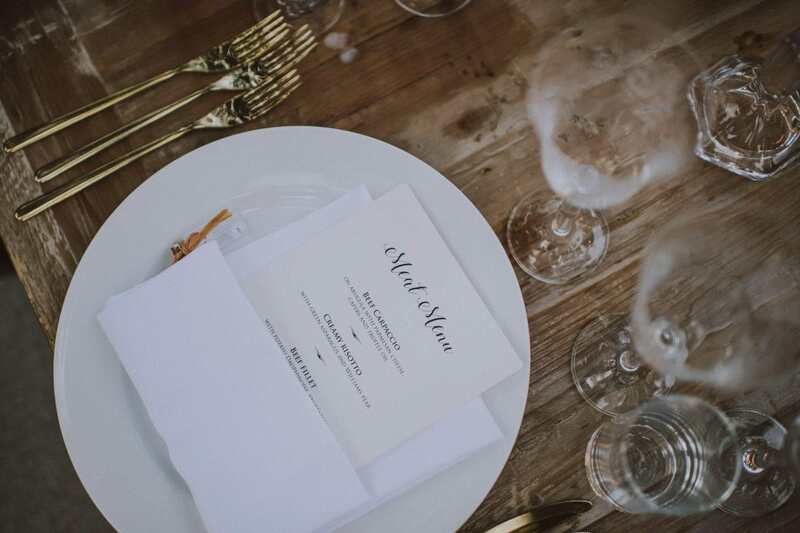 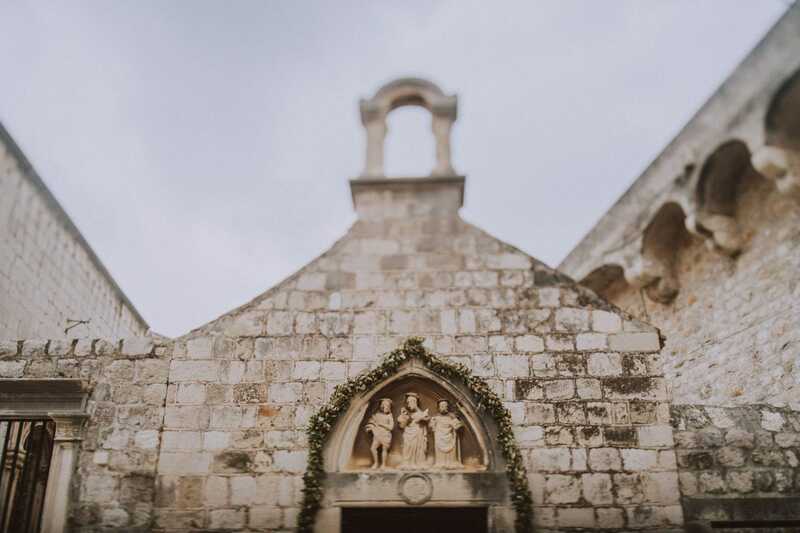 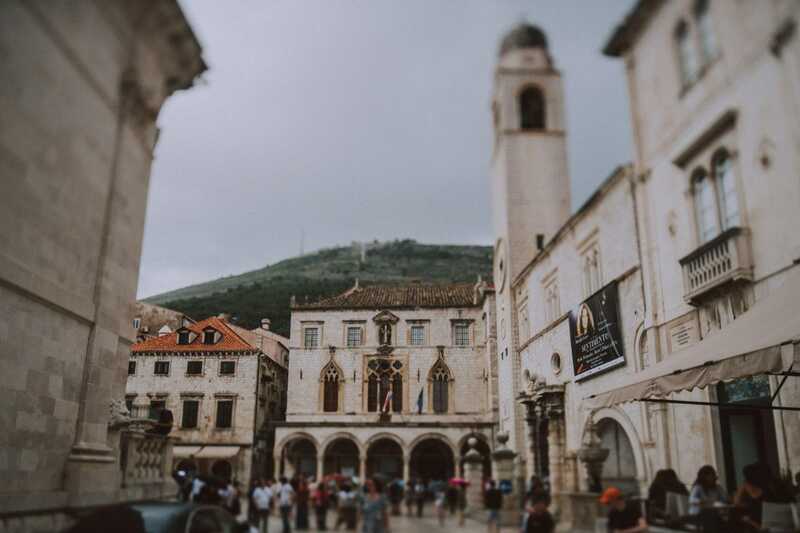 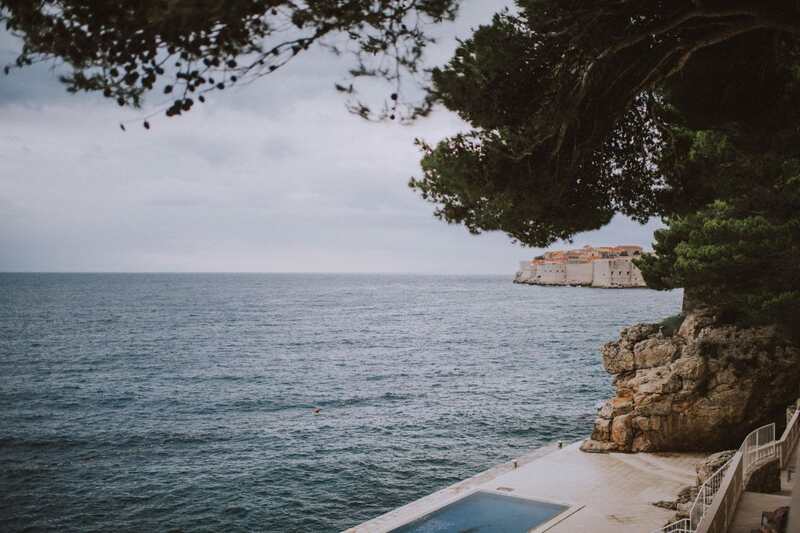 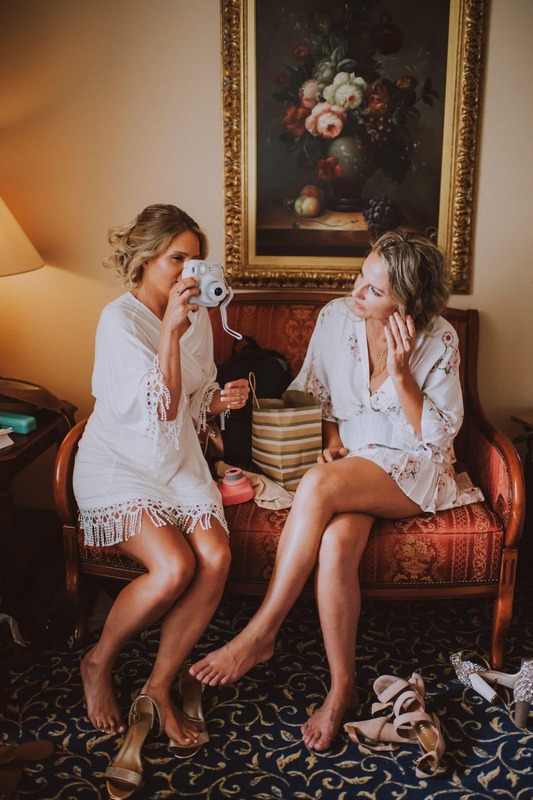 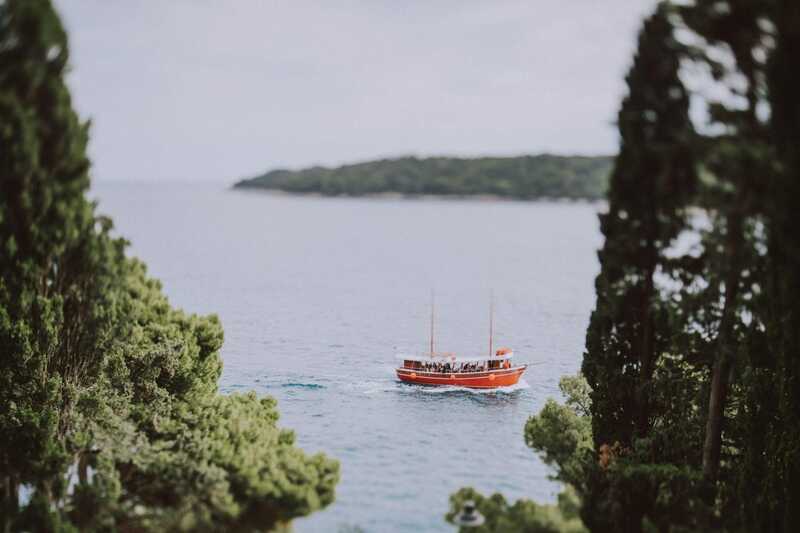 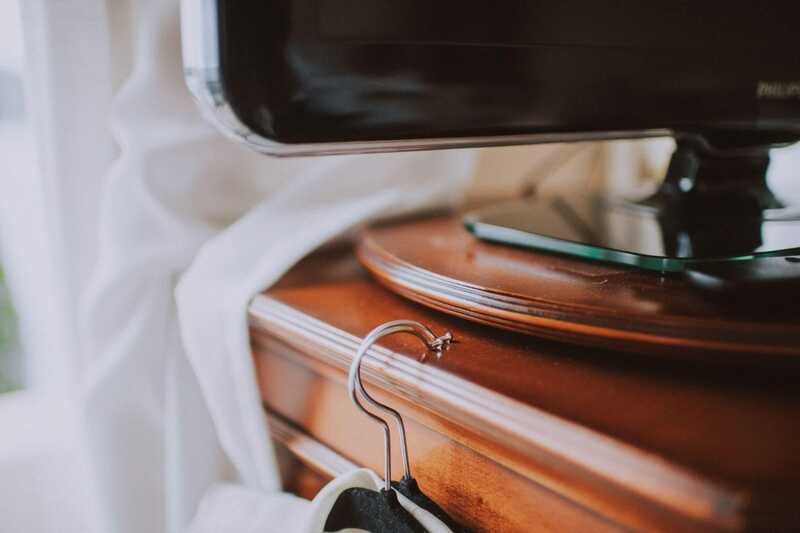 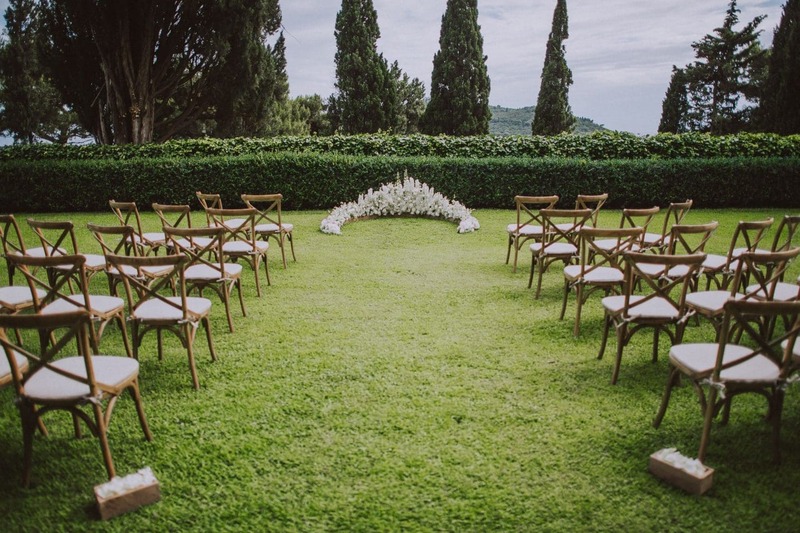 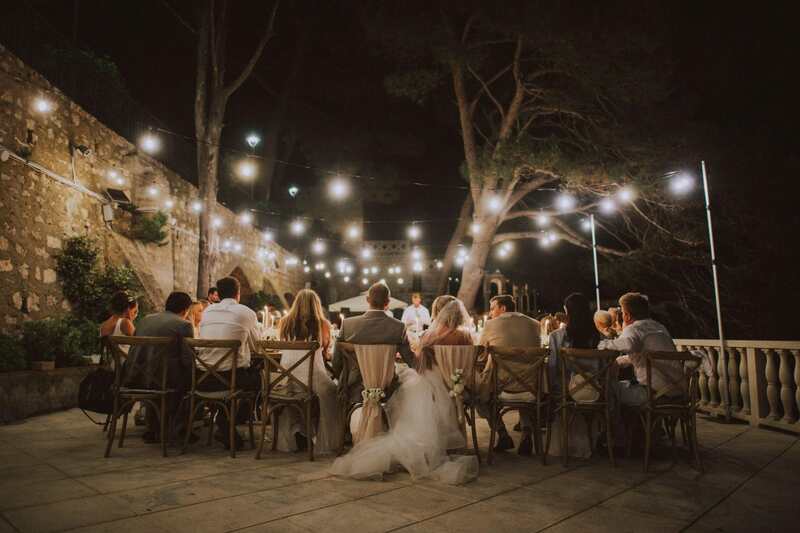 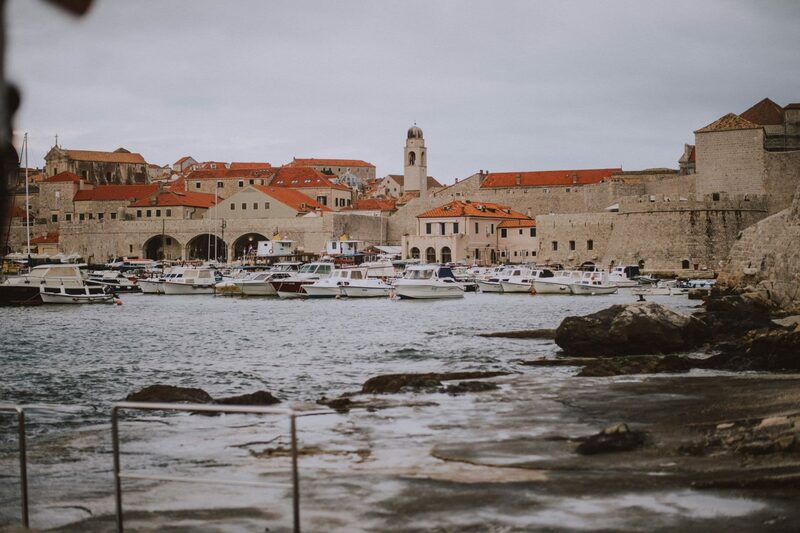 If you say Dubrovnik, the first thought goes obviously to the Game of Thrones but, if you say wedding in Dubrovnik, your mind, among the numerous stunning wedding venues, might probably go also to Grand Villa Argentina. 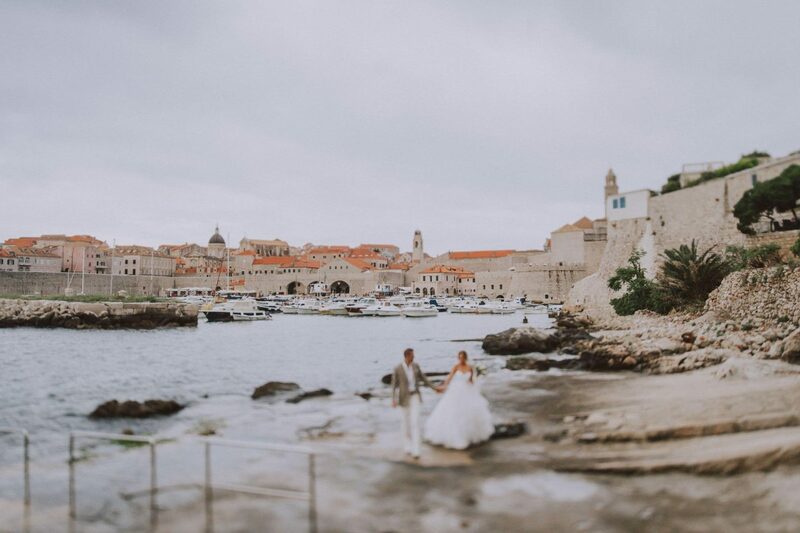 This spectacular venue, a few steps away from the historical centre, provides a unique view even for the most demanding lovers. 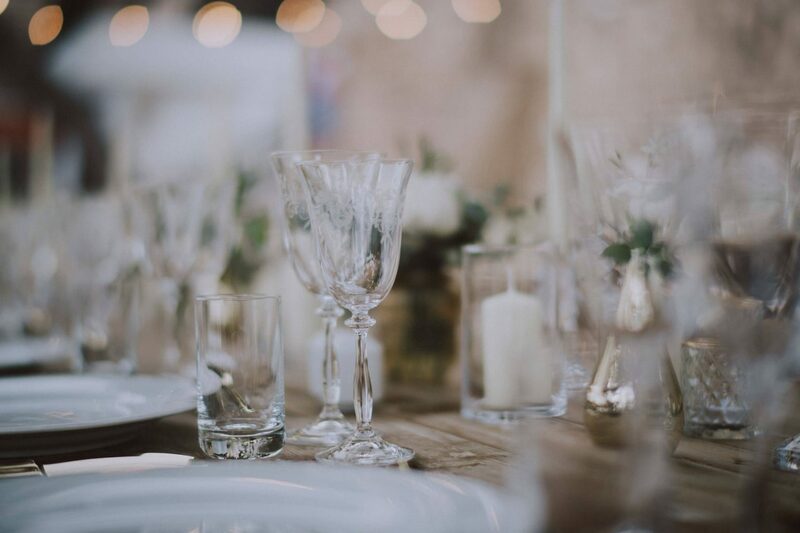 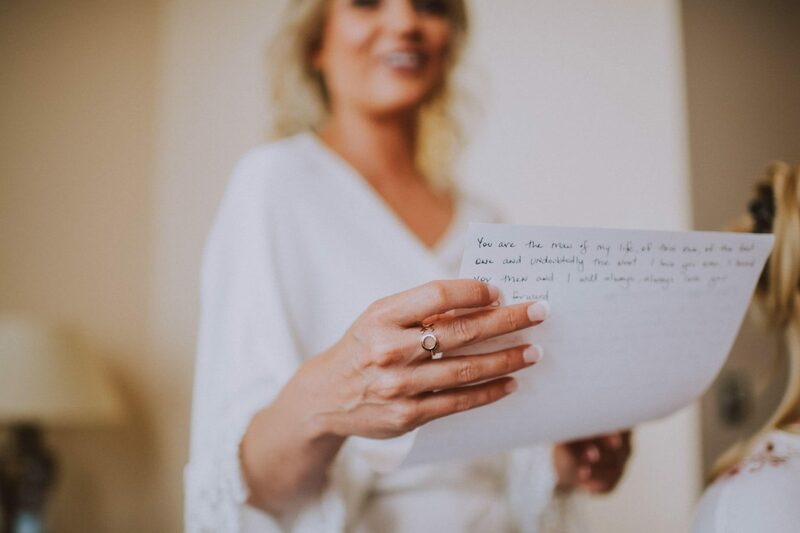 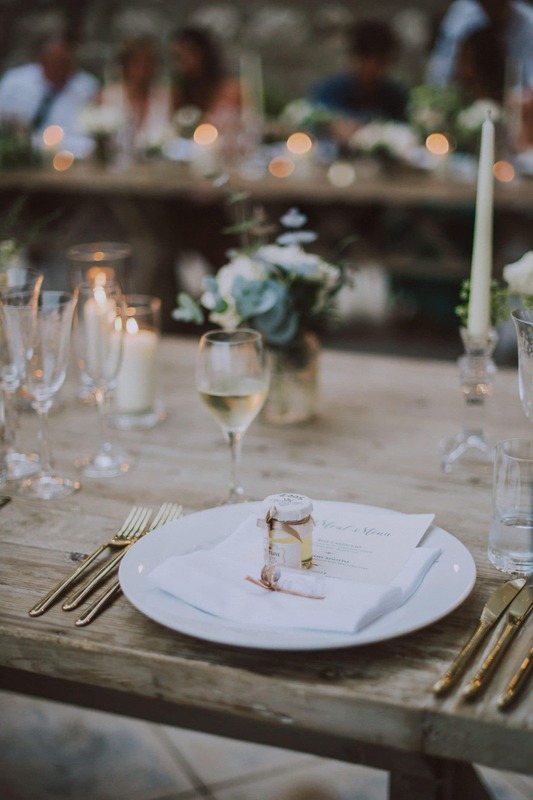 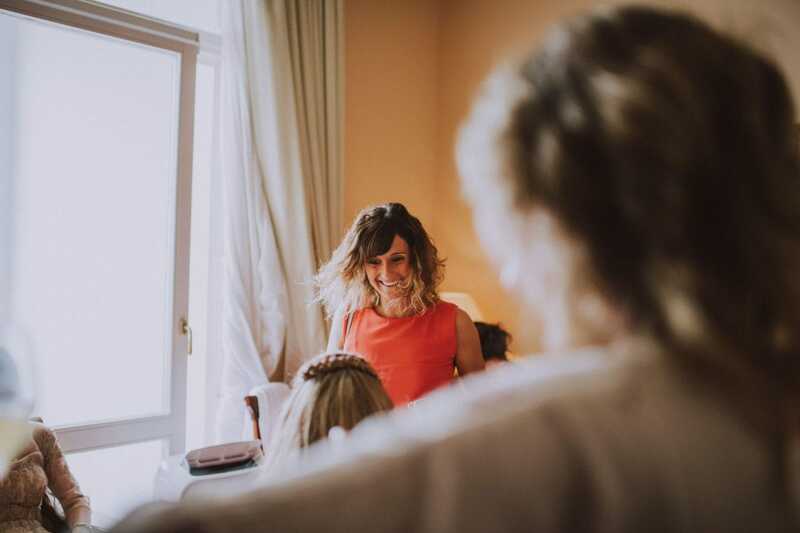 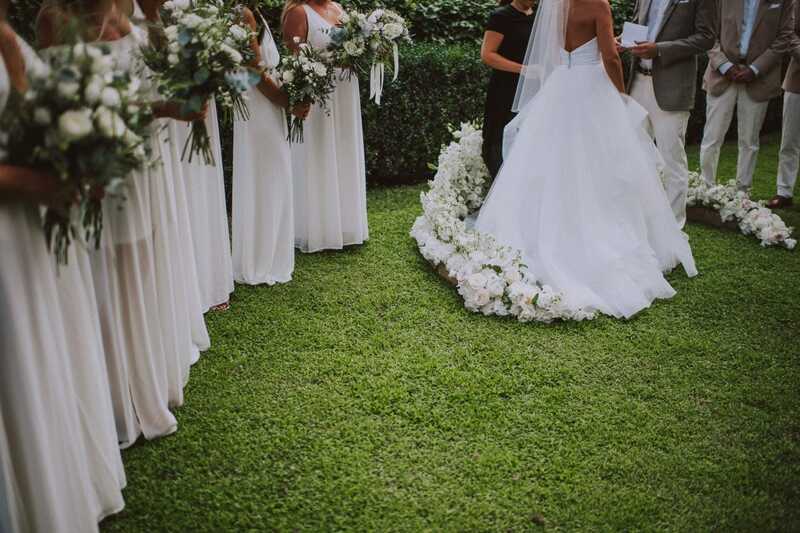 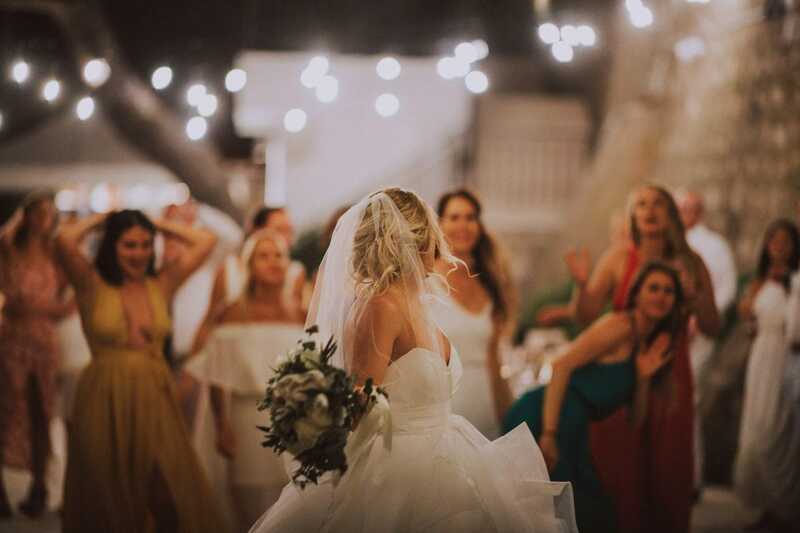 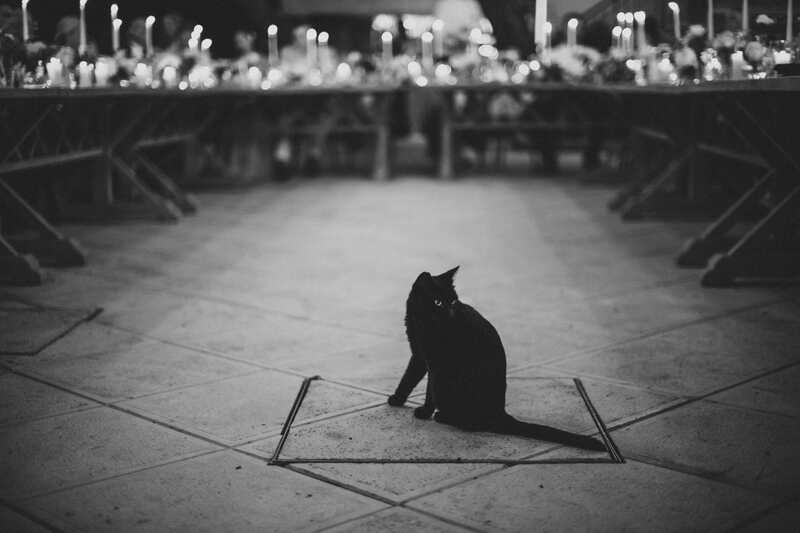 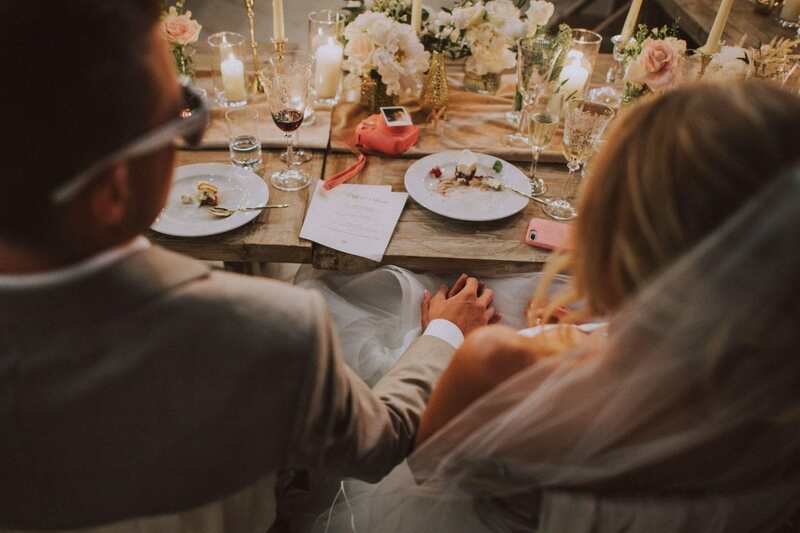 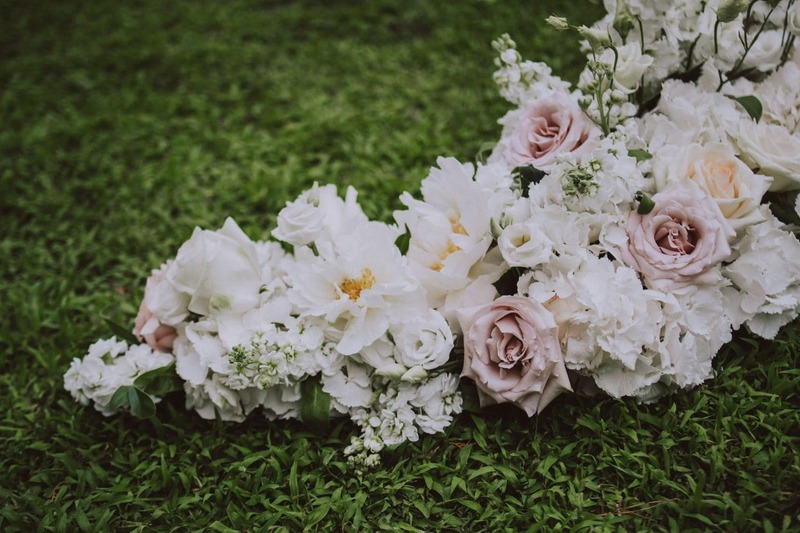 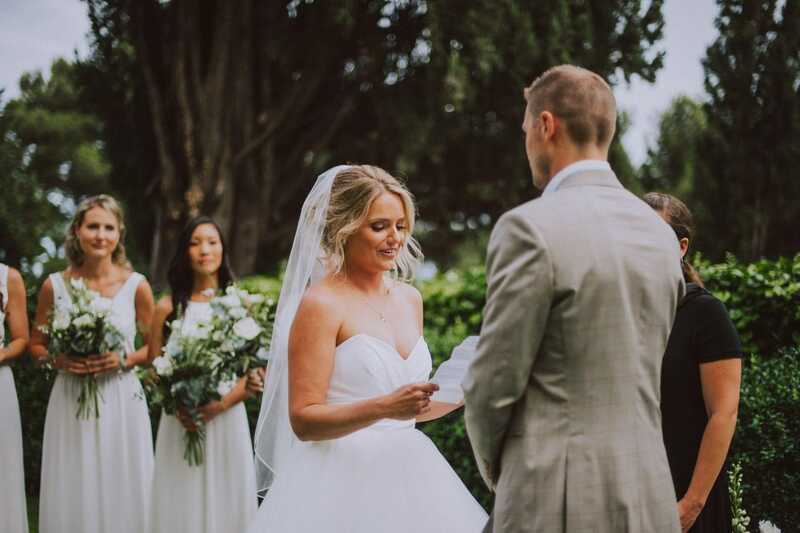 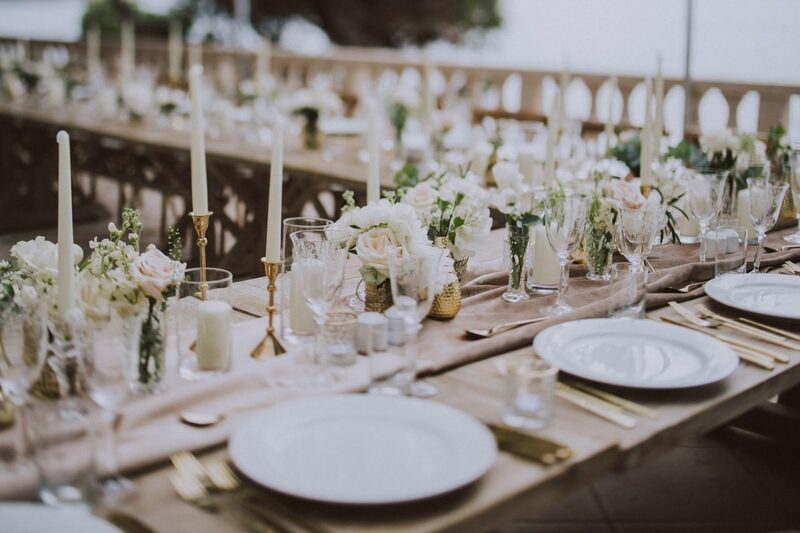 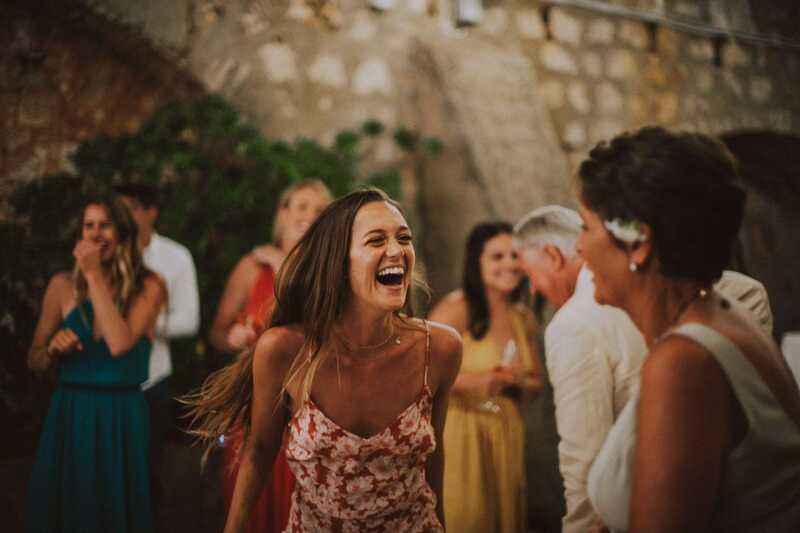 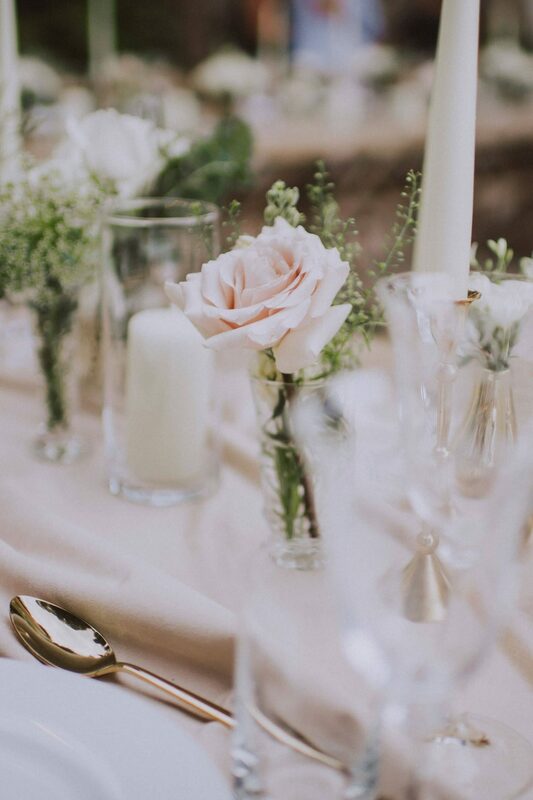 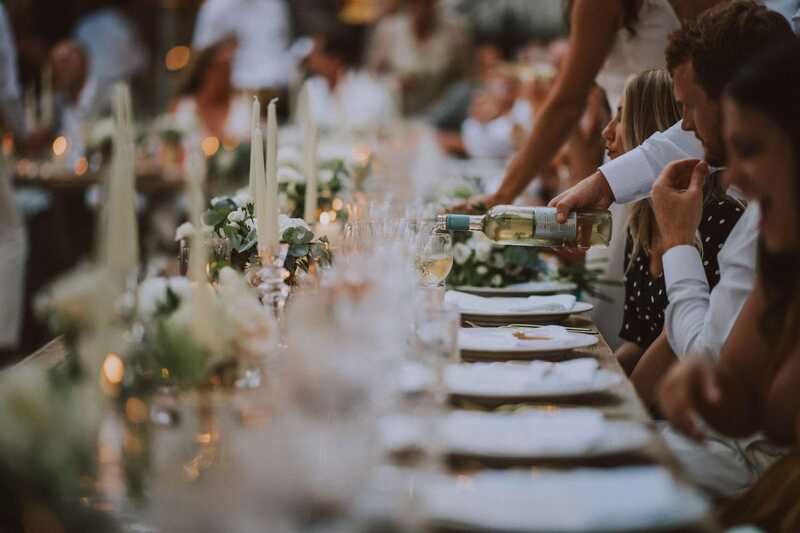 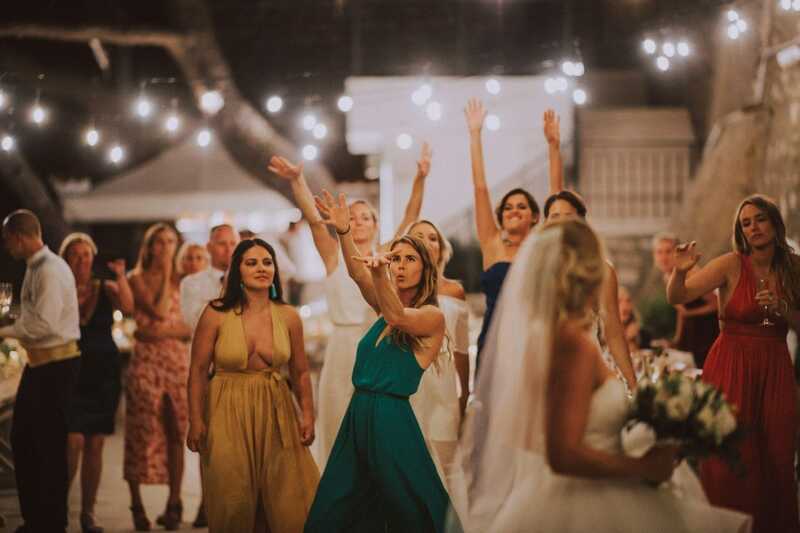 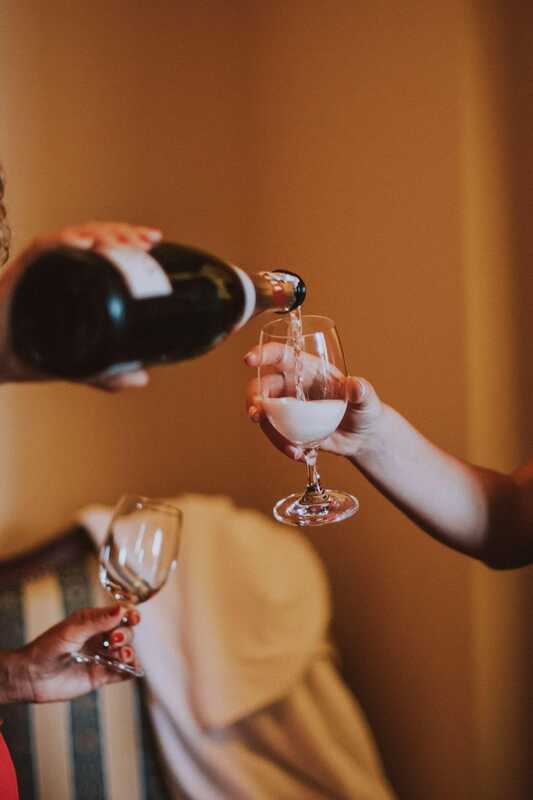 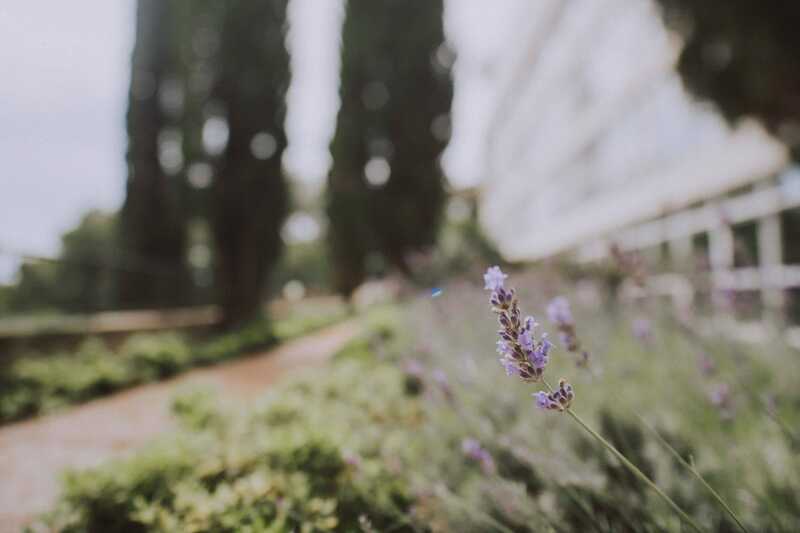 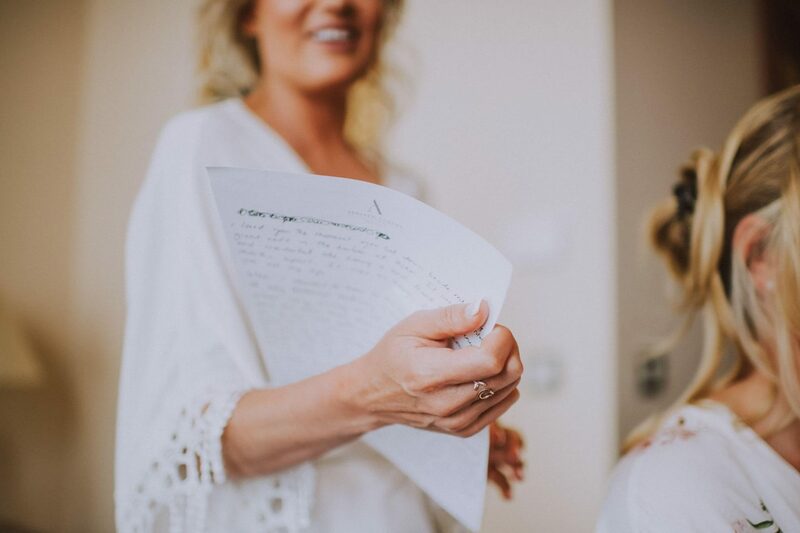 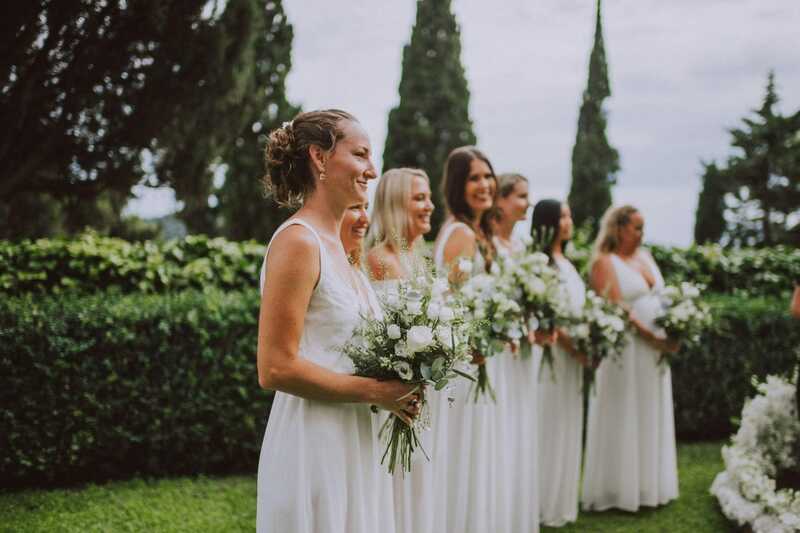 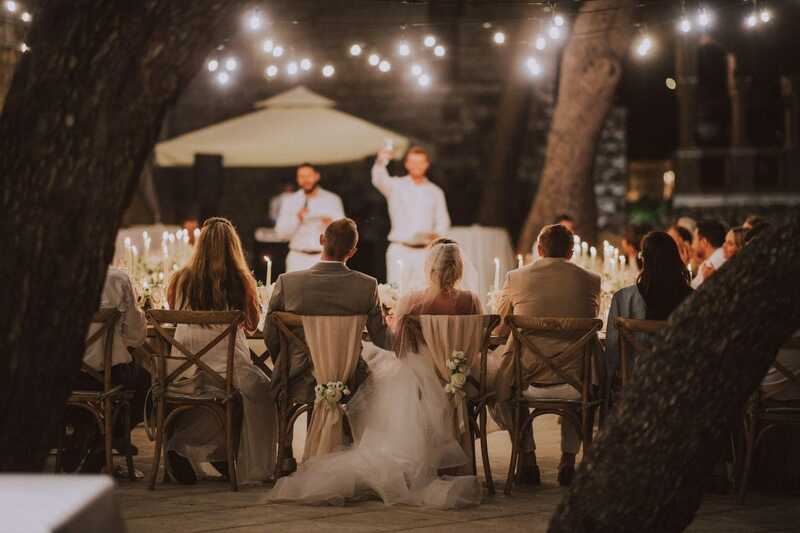 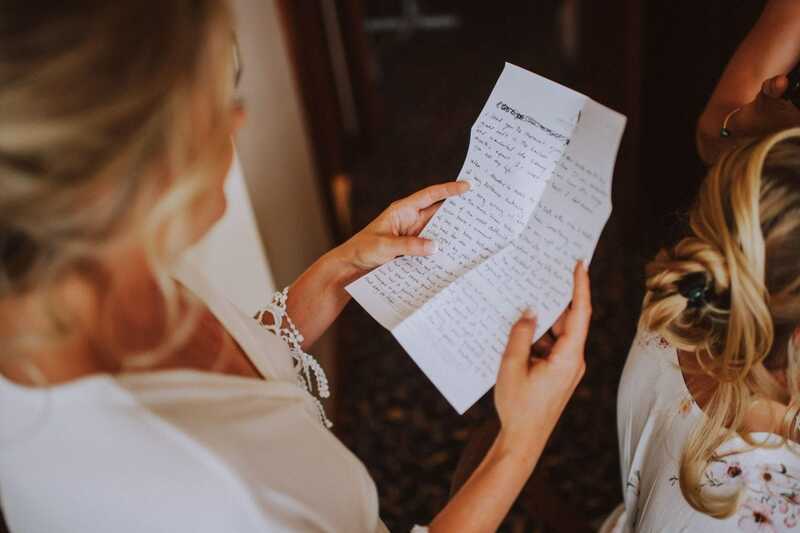 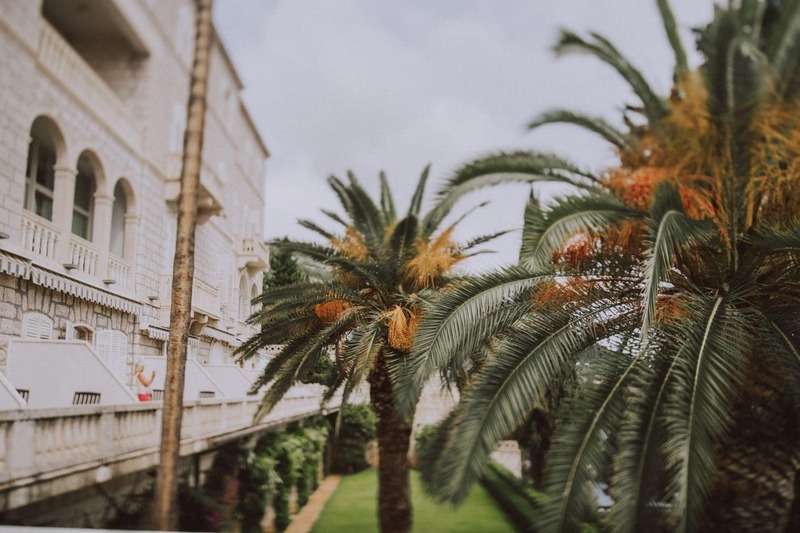 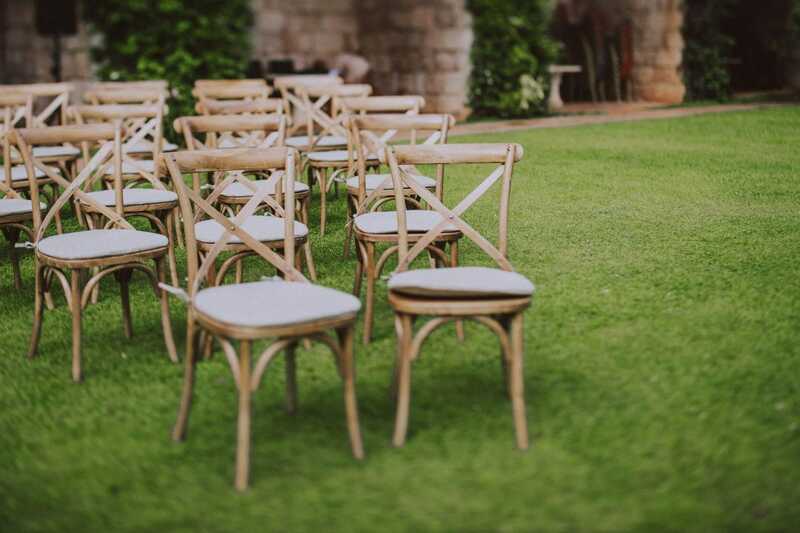 In addition to the terrace overlooking the sea, an ideal place for wedding receptions, Grand Villa Argentina also provides a fabulous courtyard where it is possible to organize memorable ceremonies. 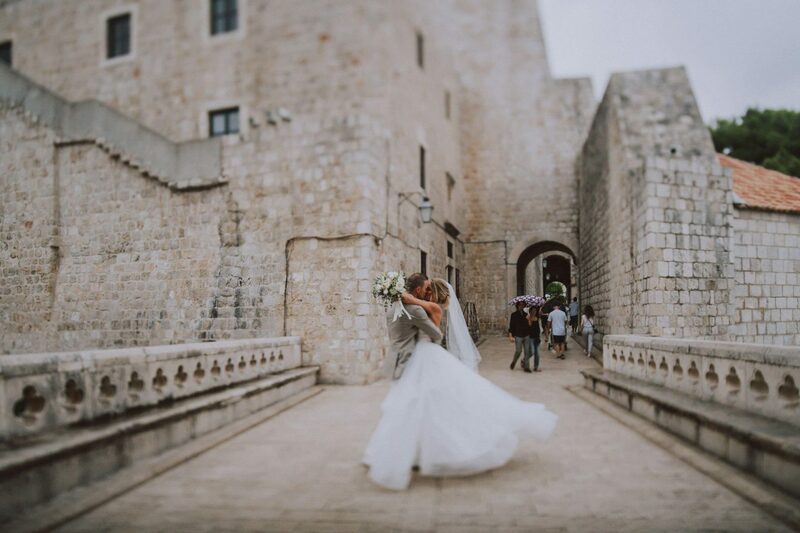 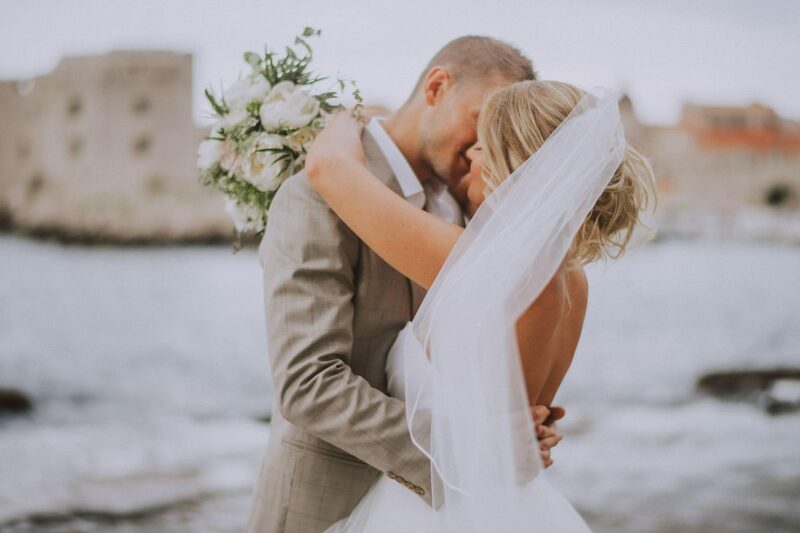 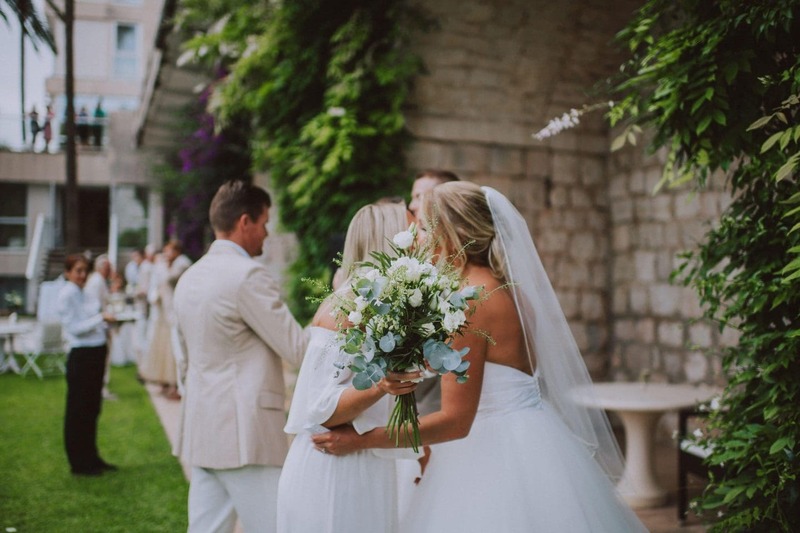 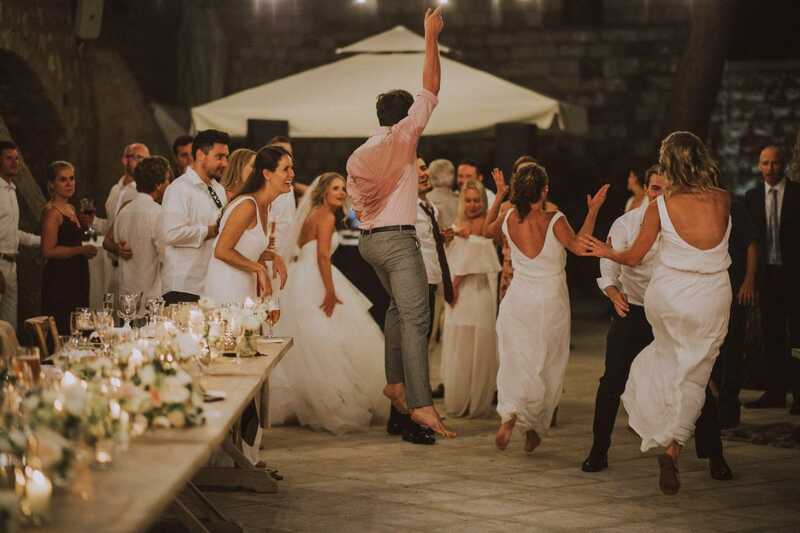 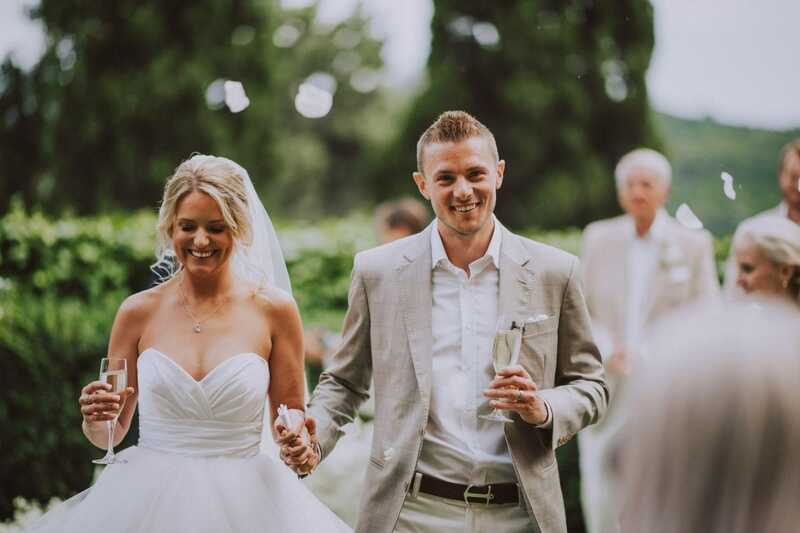 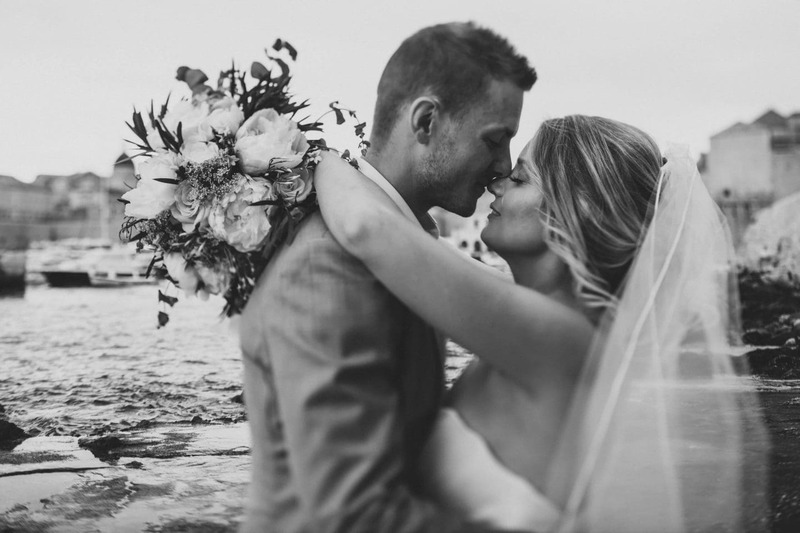 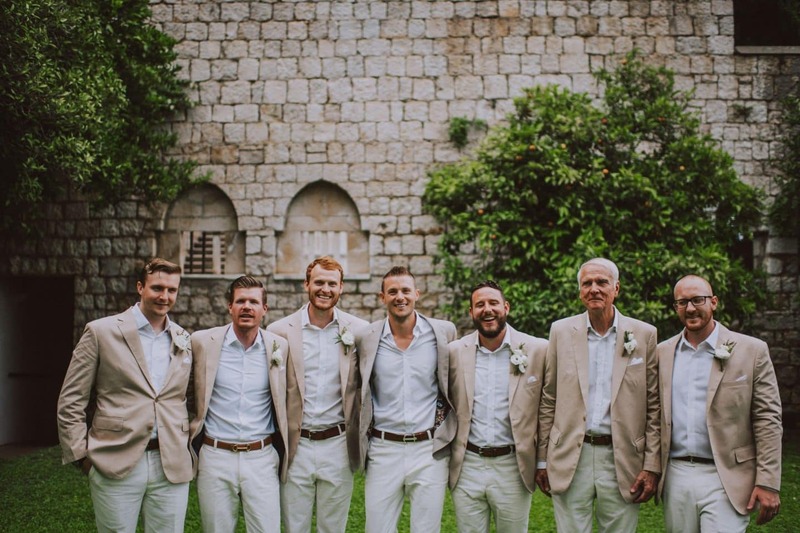 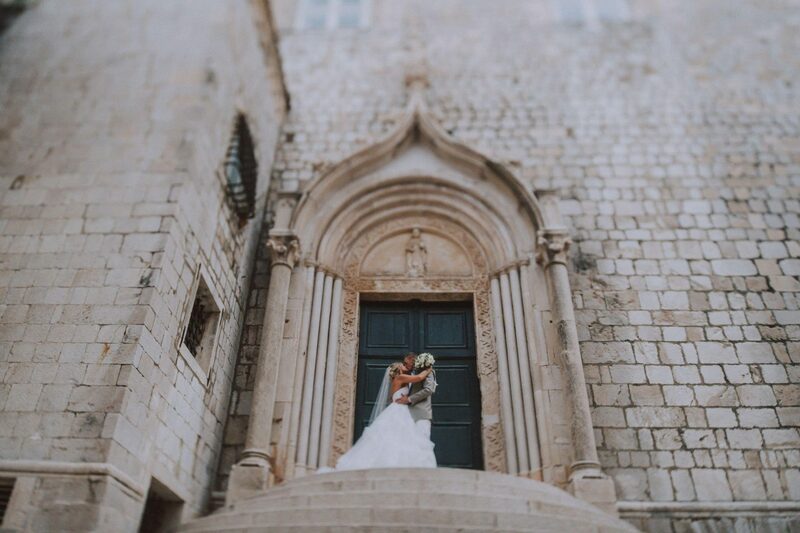 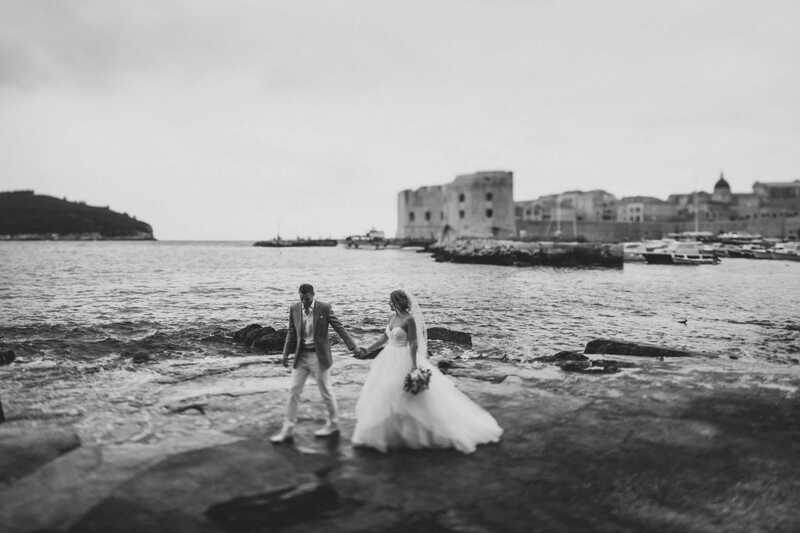 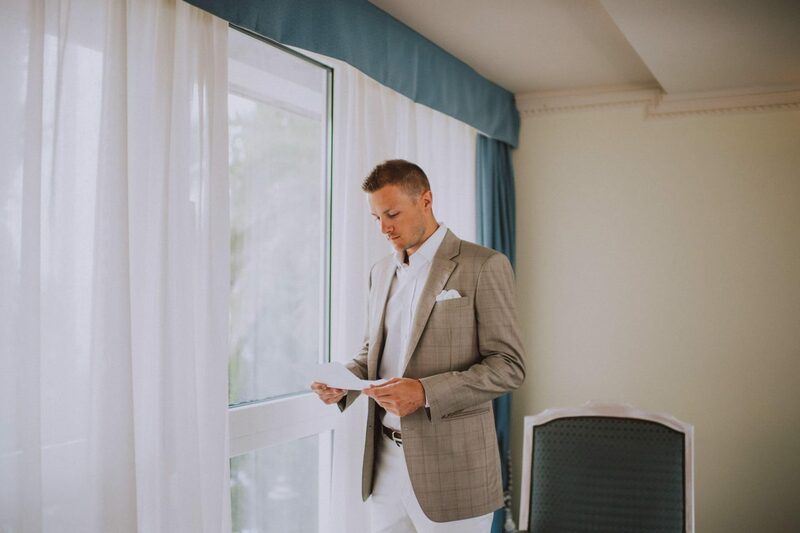 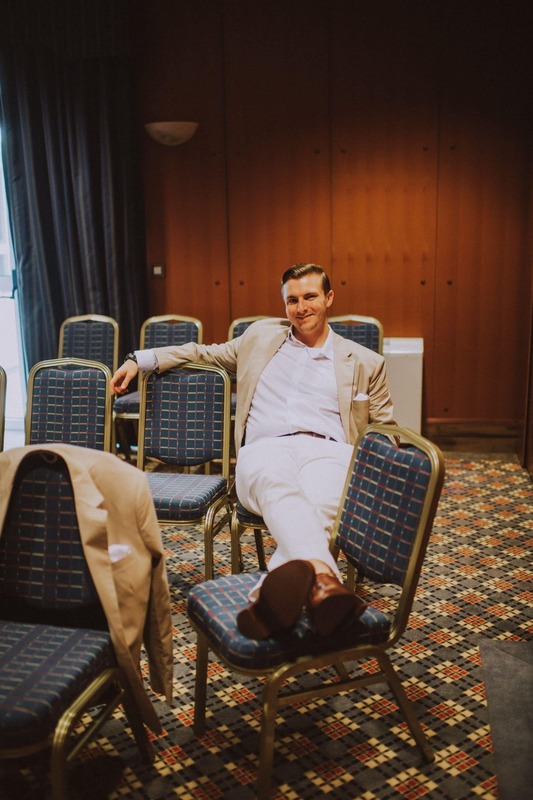 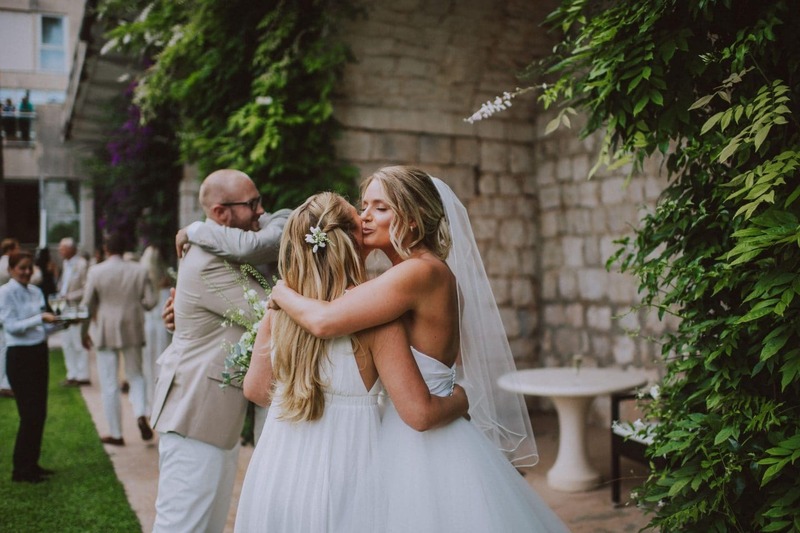 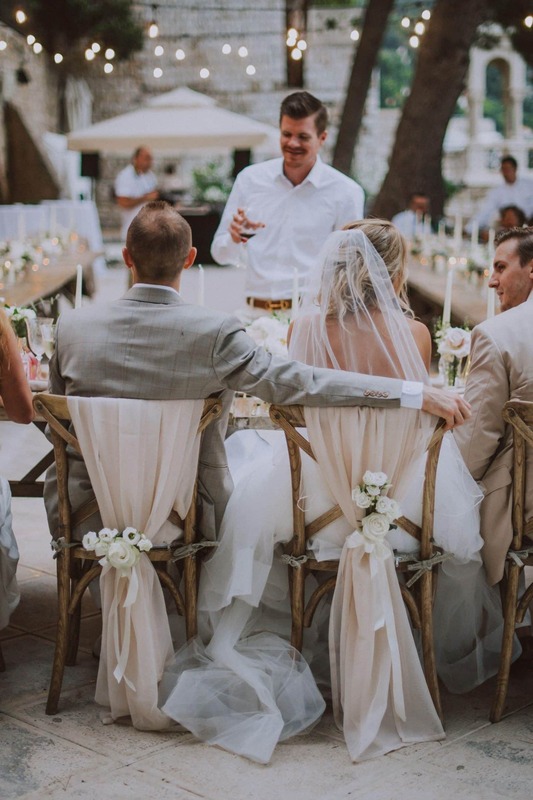 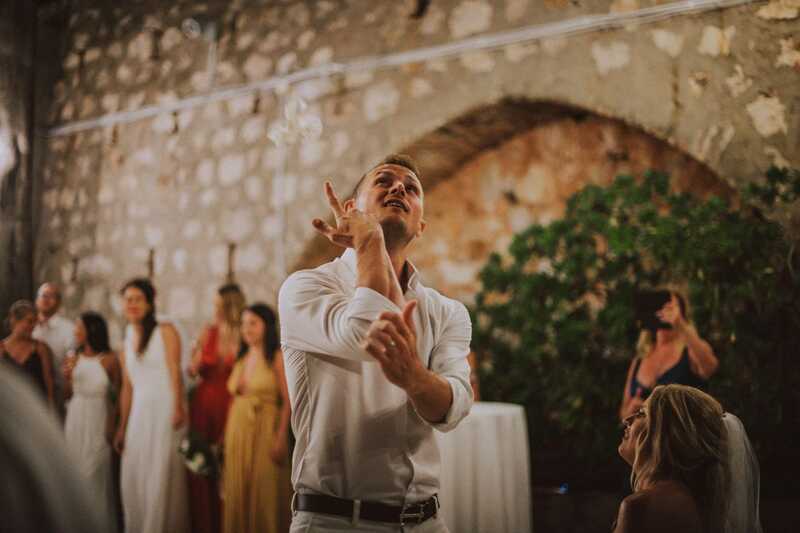 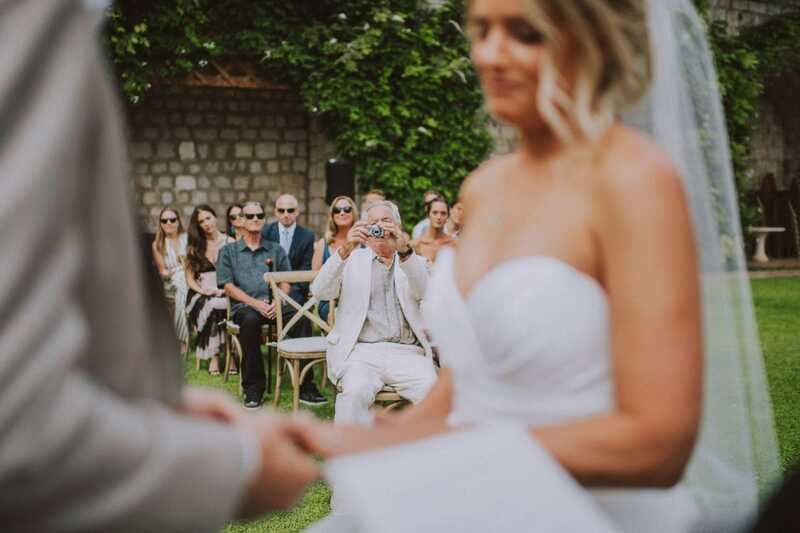 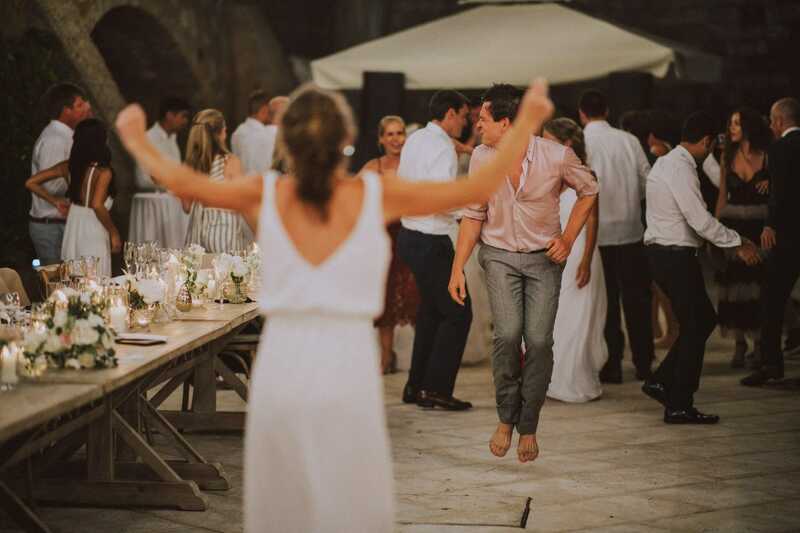 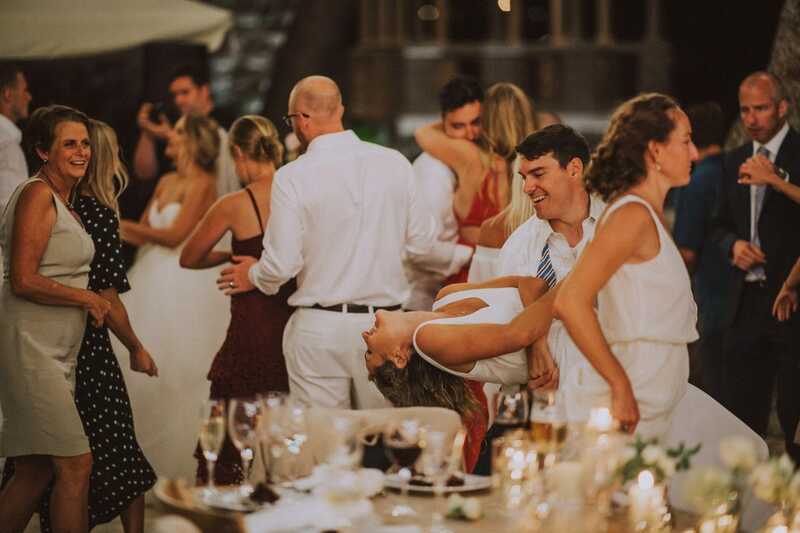 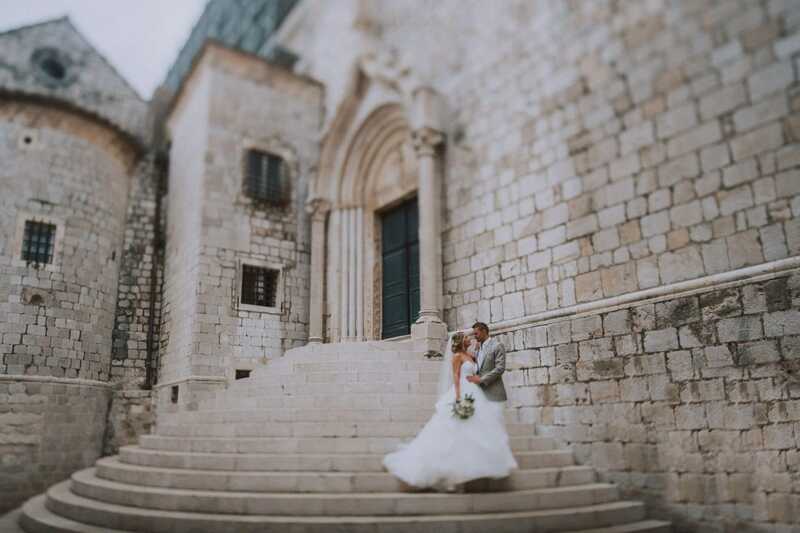 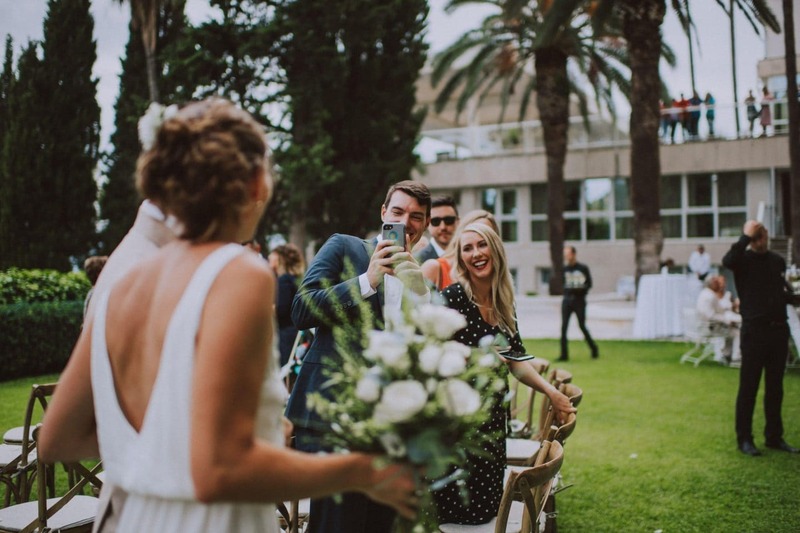 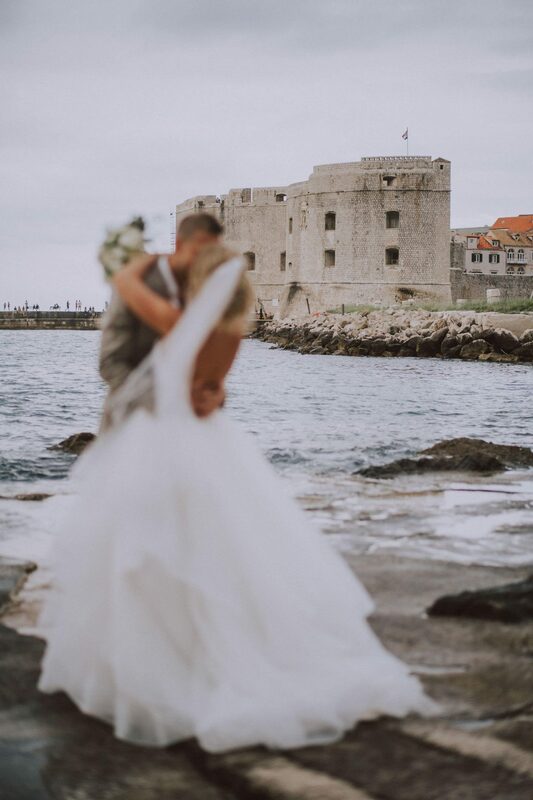 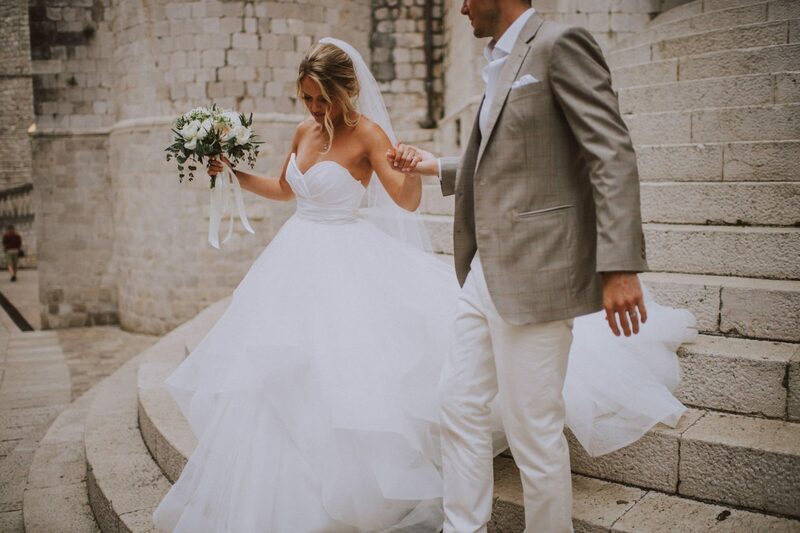 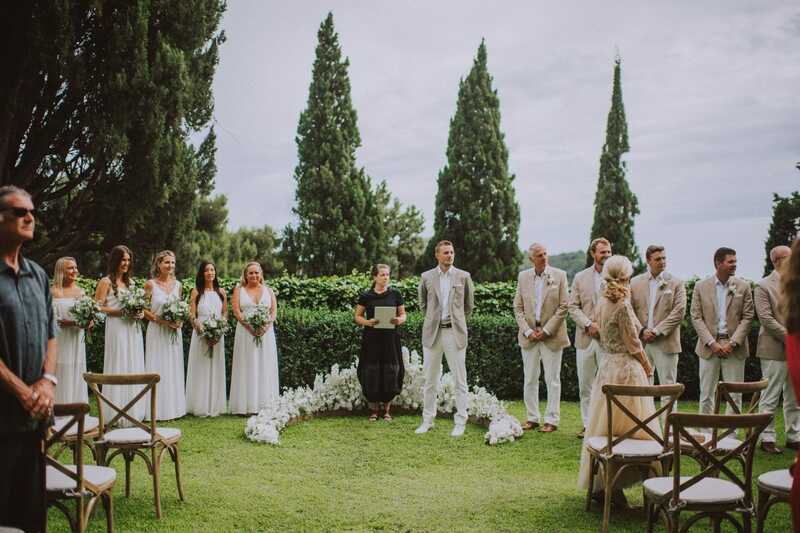 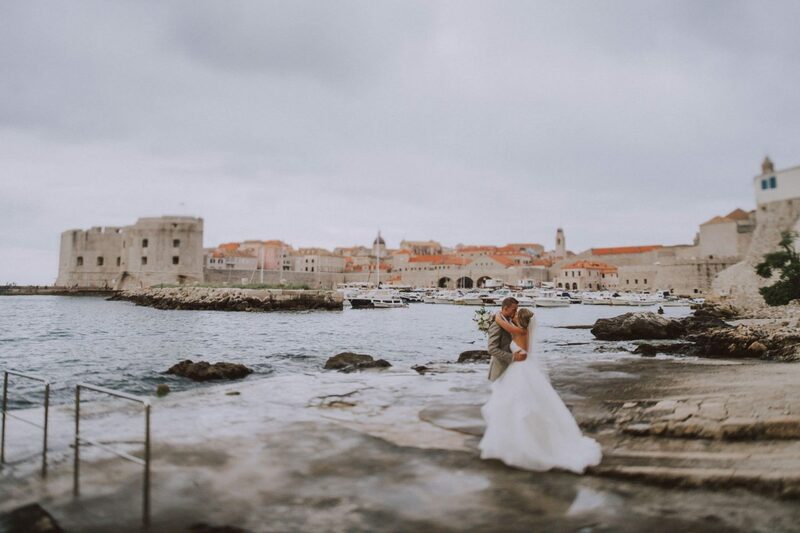 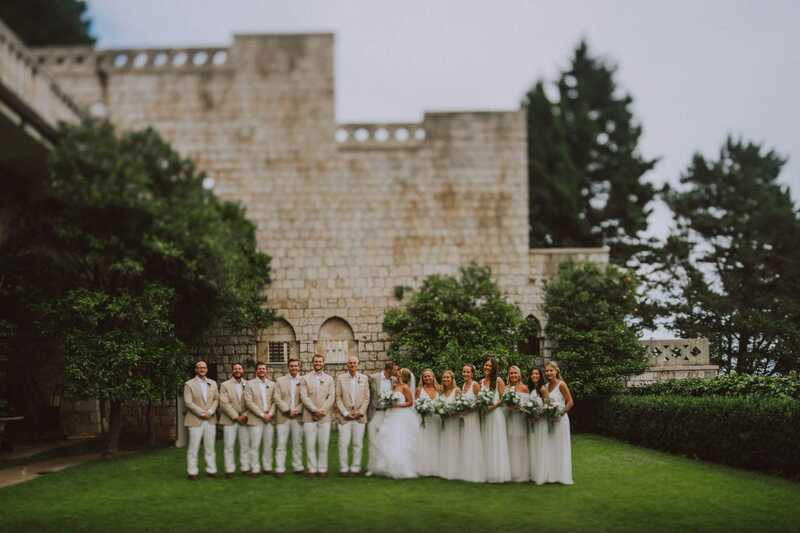 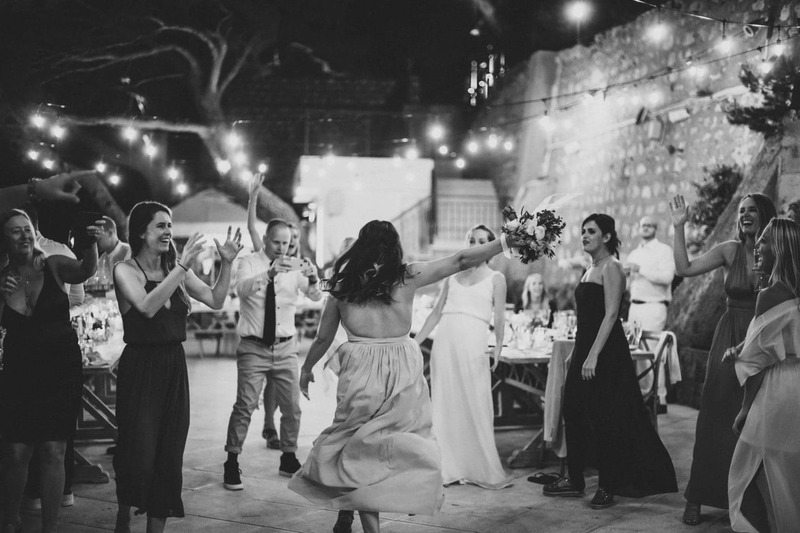 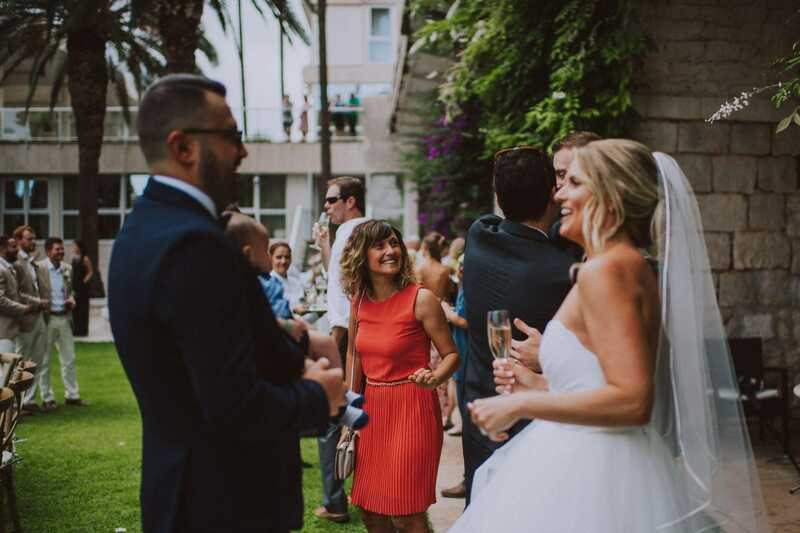 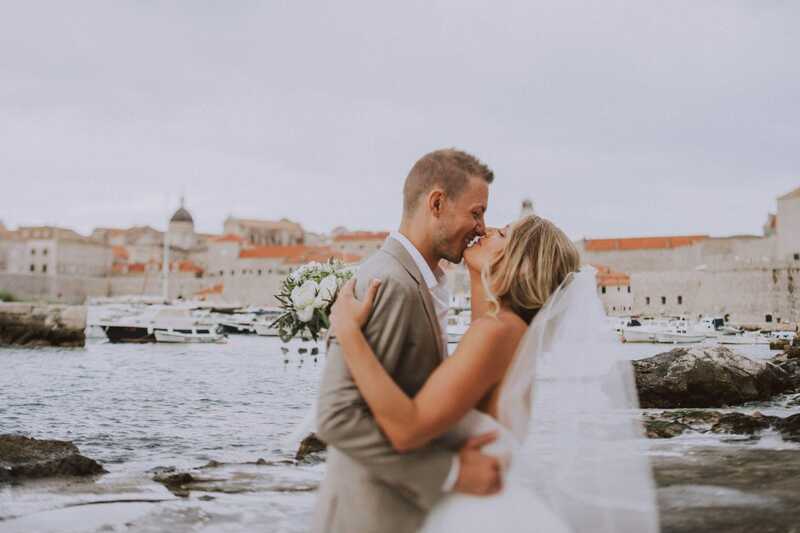 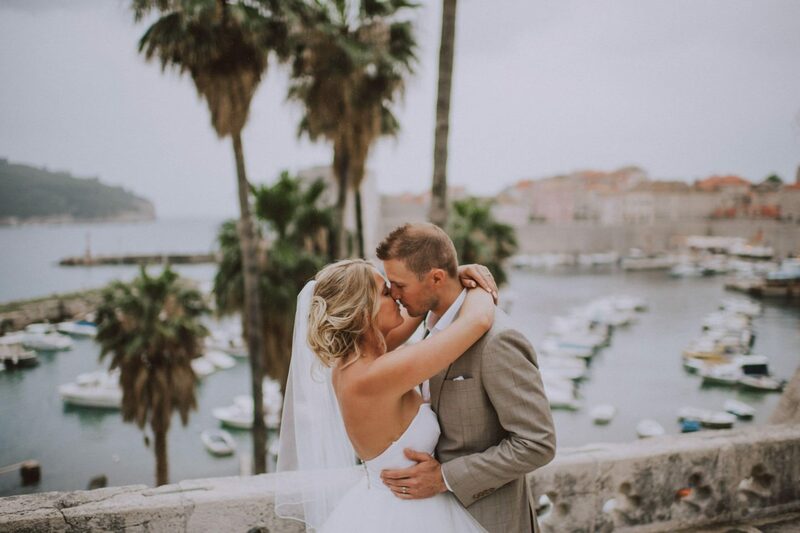 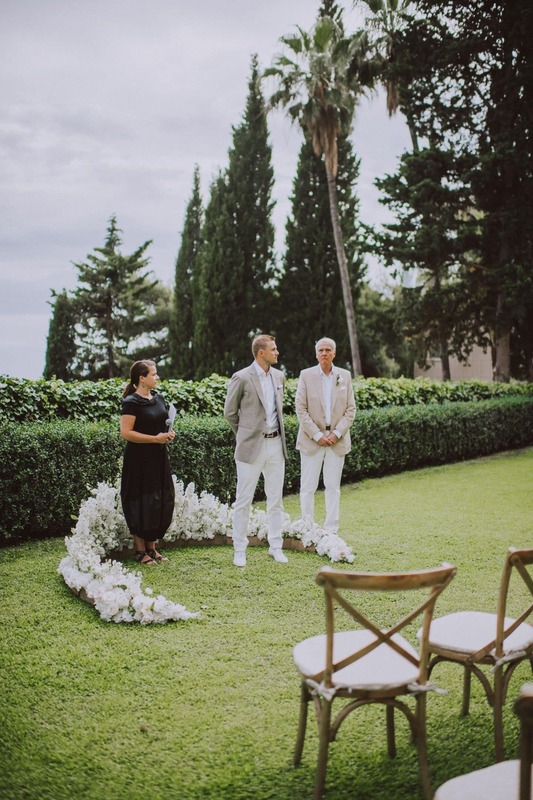 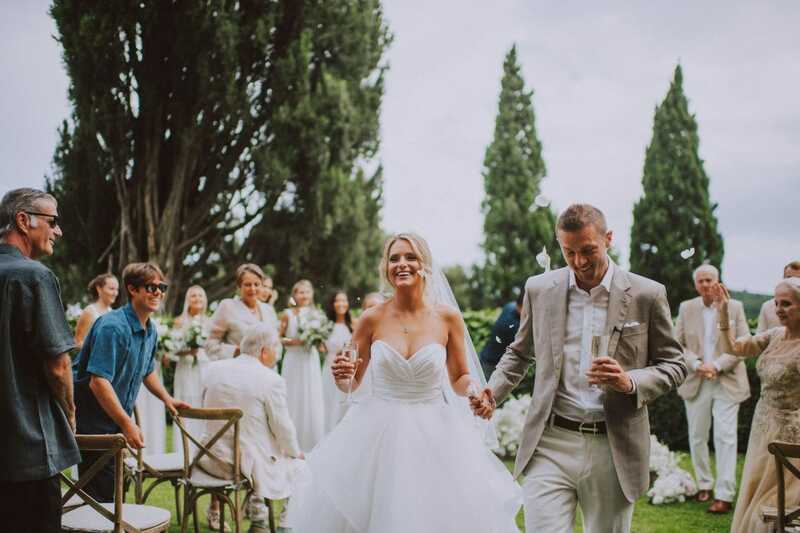 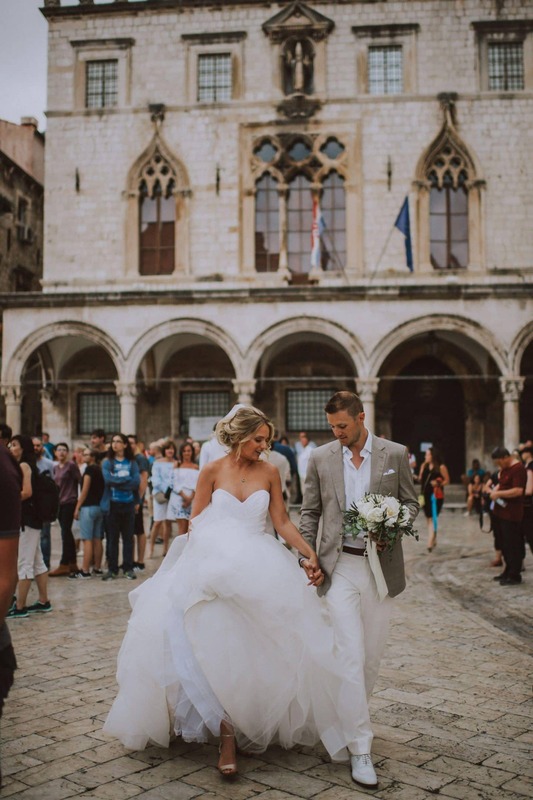 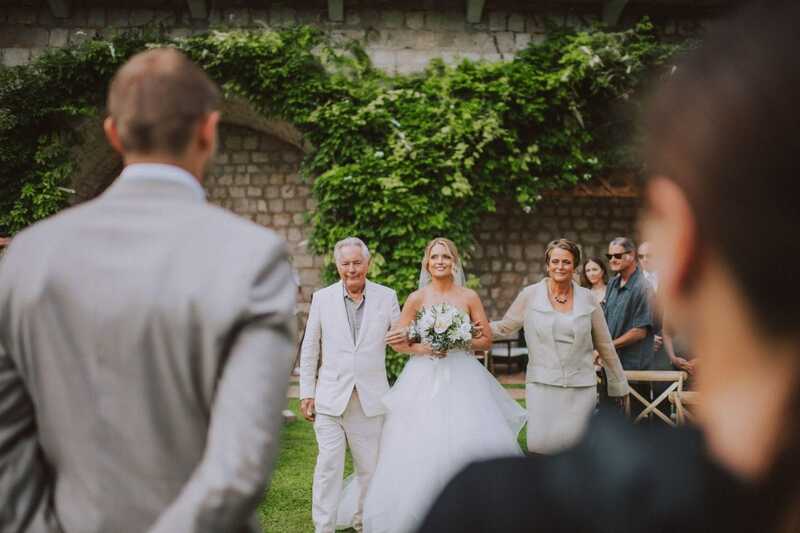 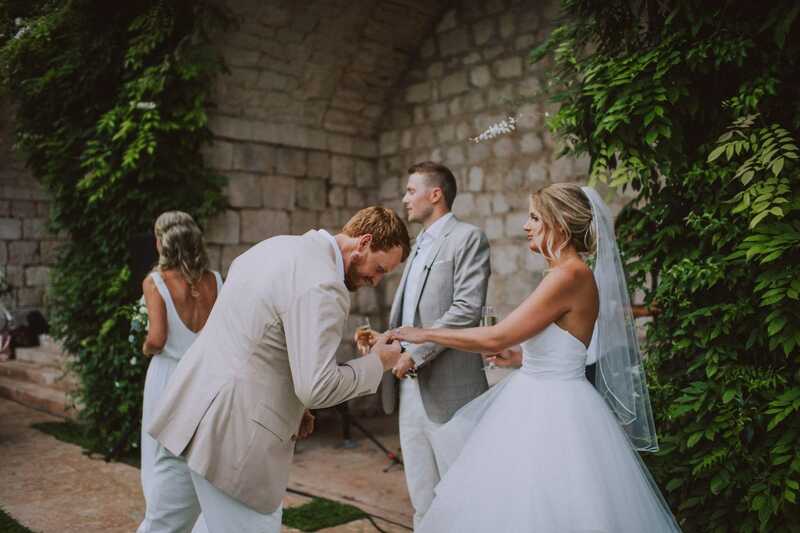 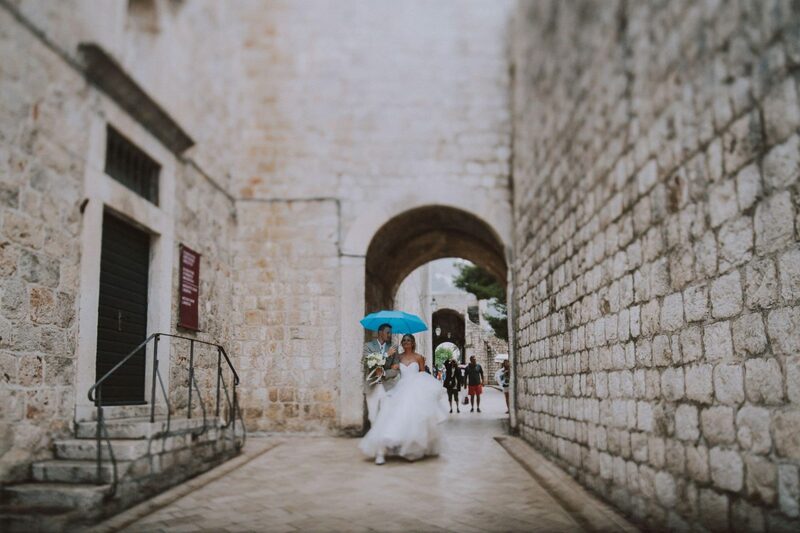 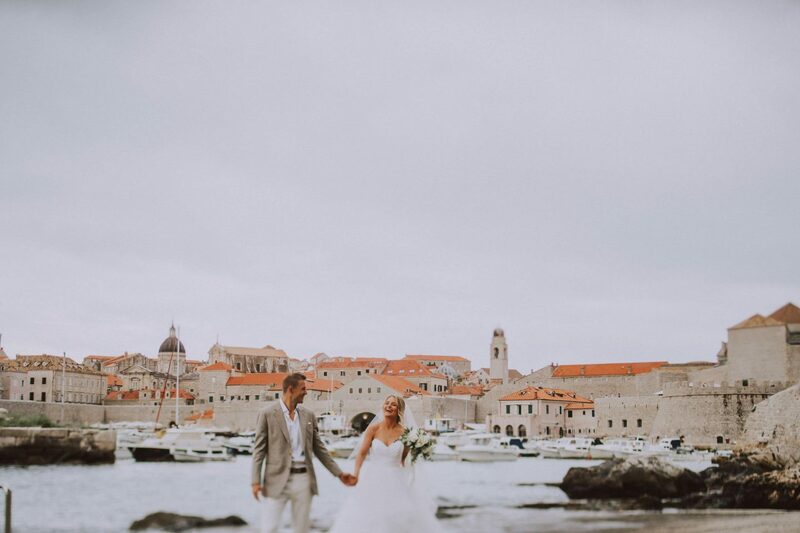 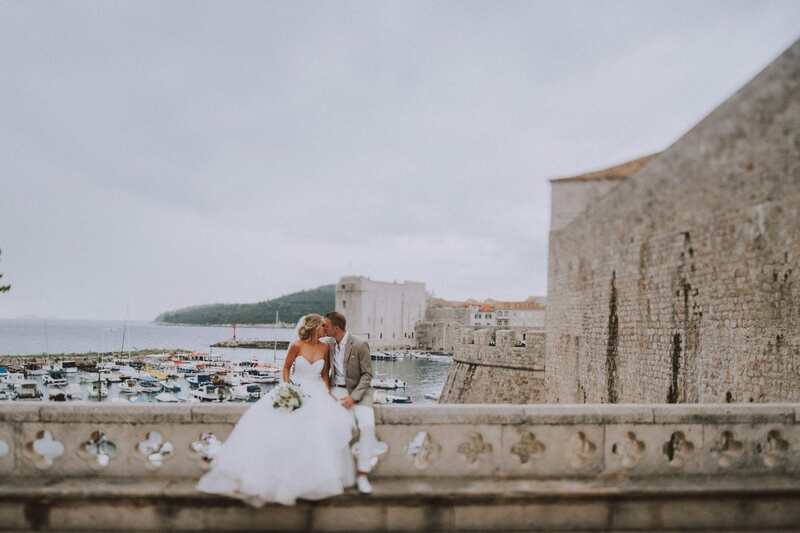 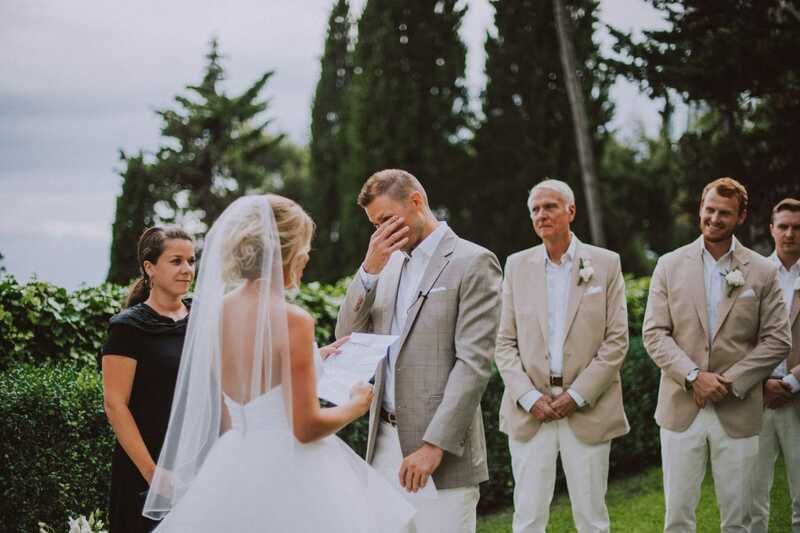 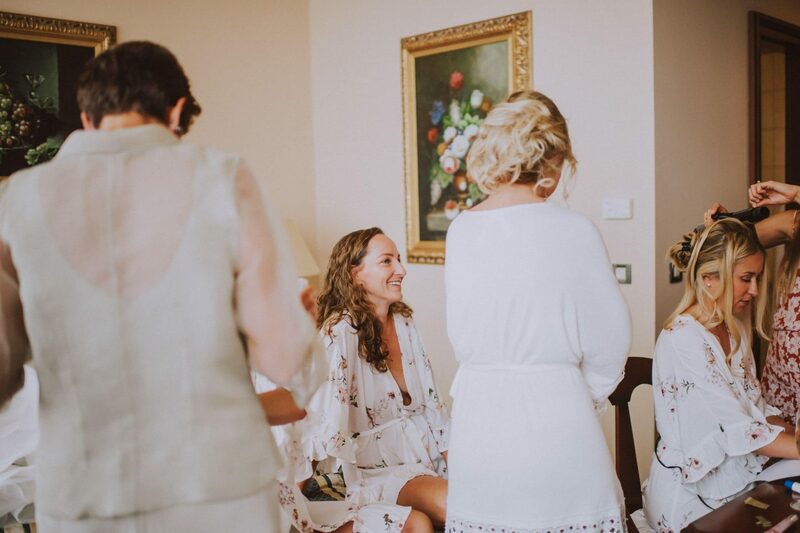 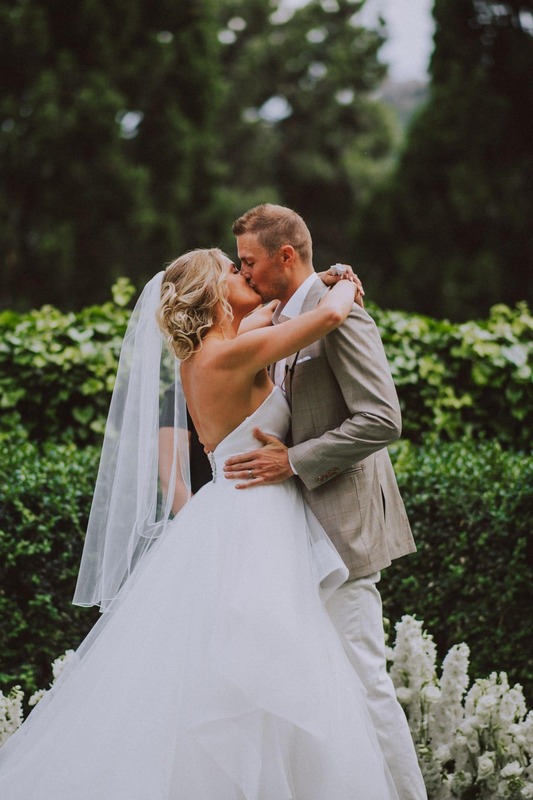 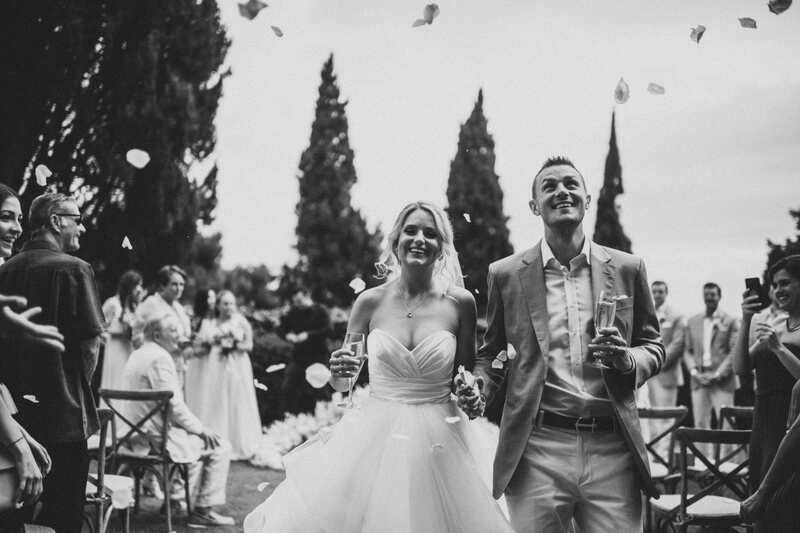 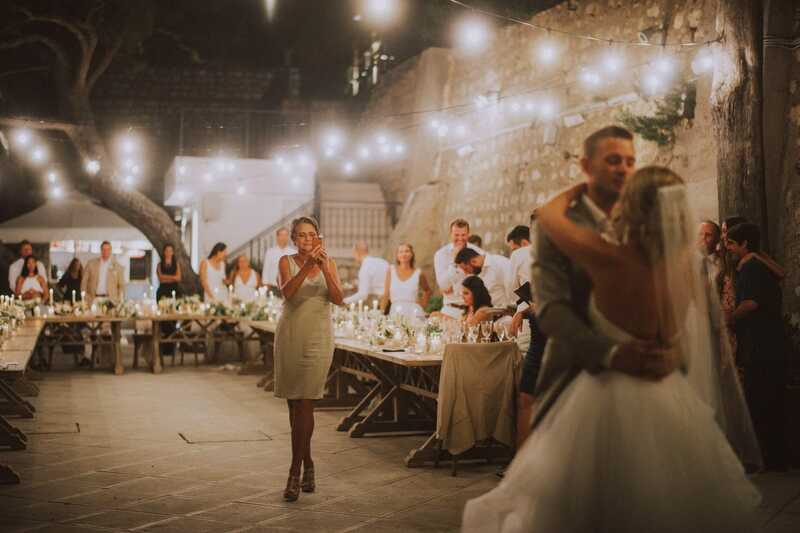 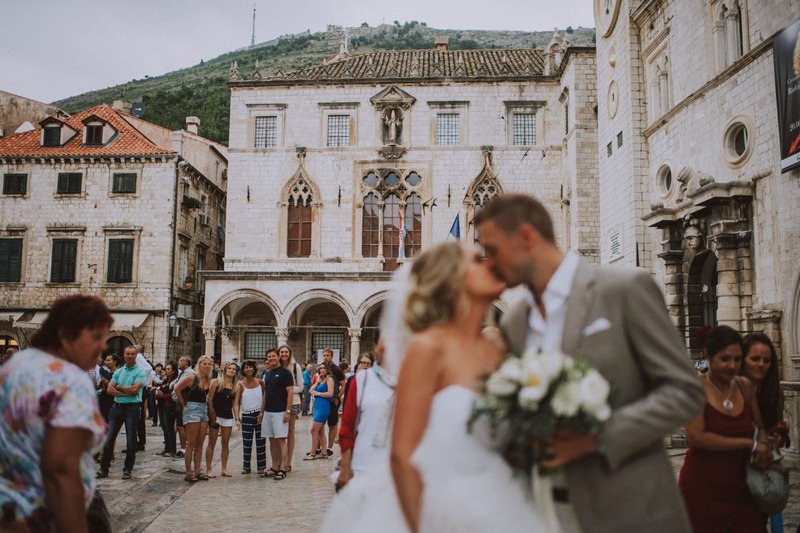 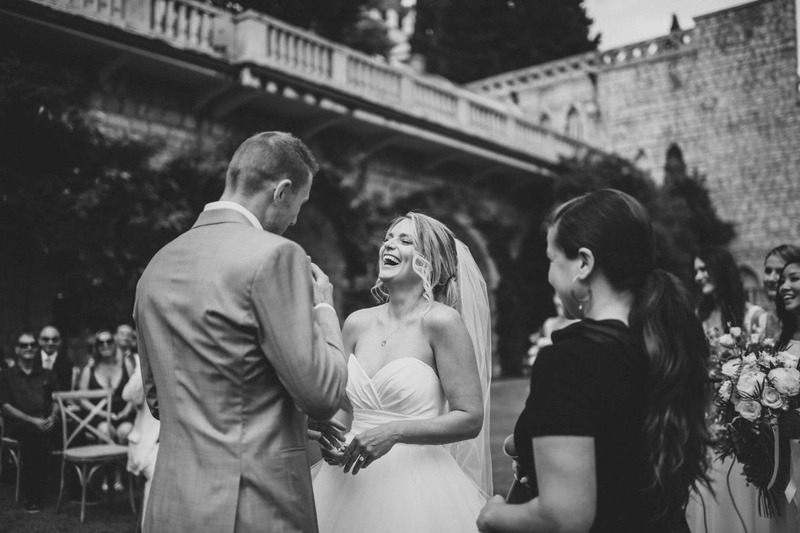 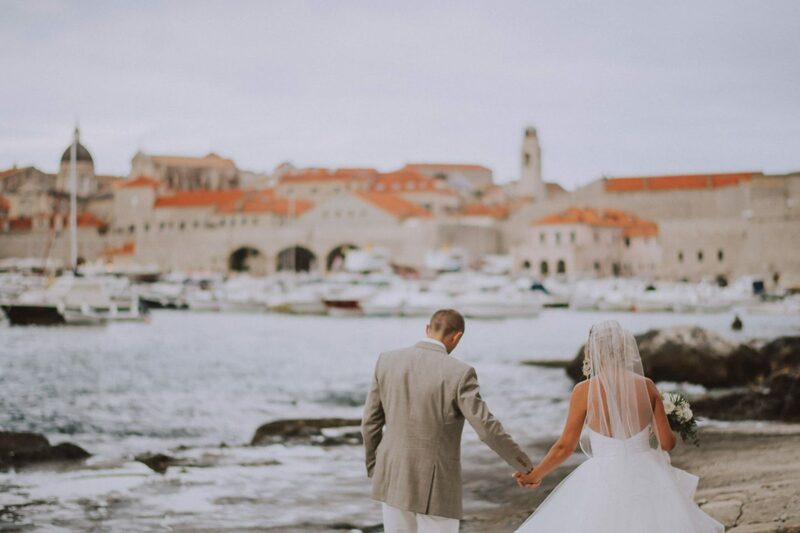 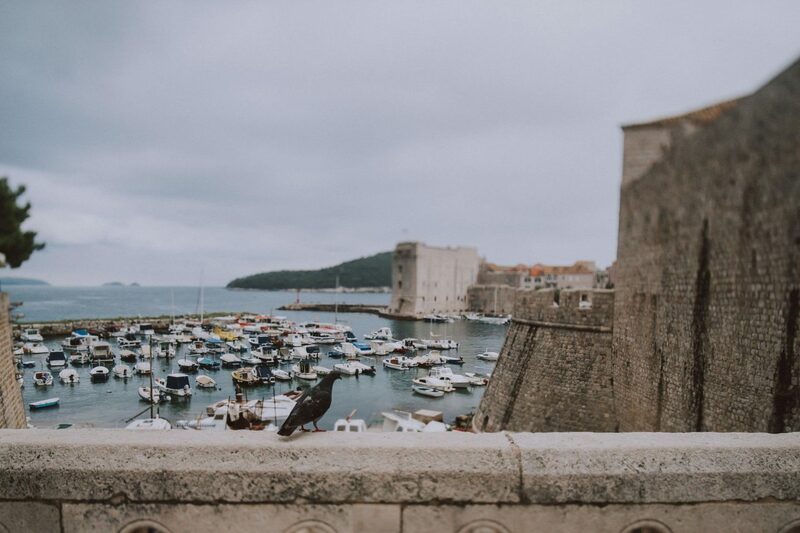 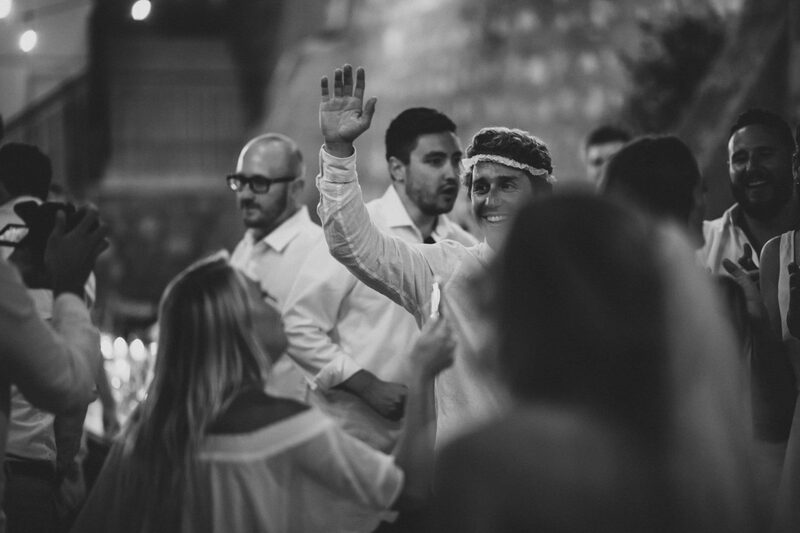 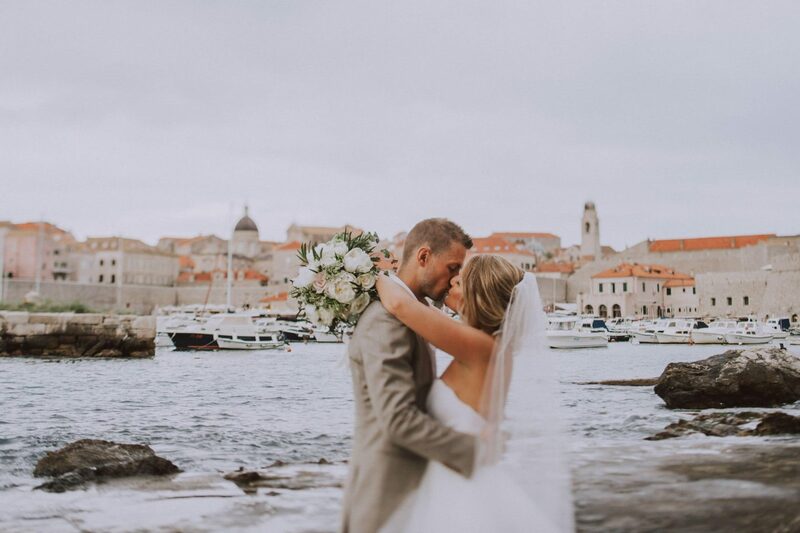 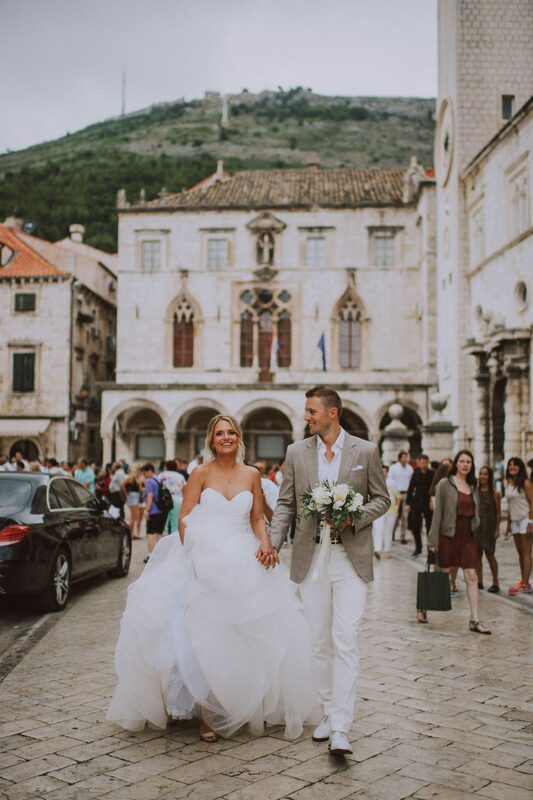 Once seen this venue, this gorgeous couple from Hawaii couldn’t help but fly friends and relatives to celebrate with them such important day in Dubrovnik. 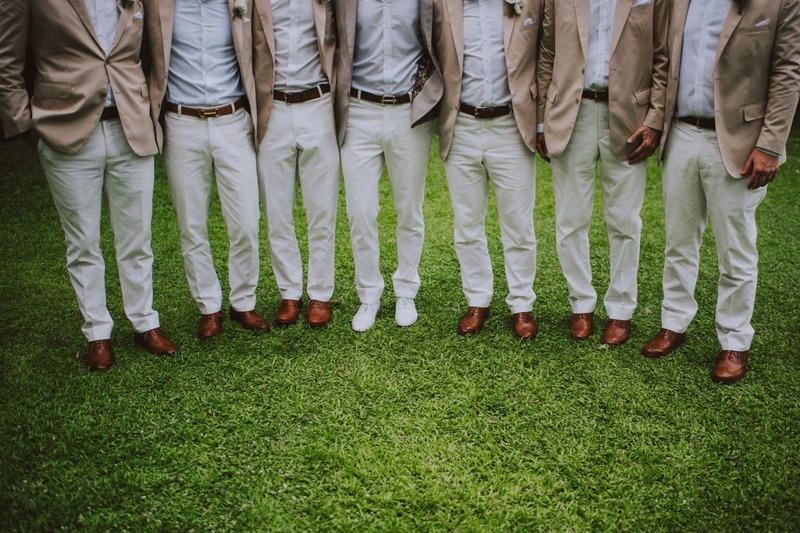 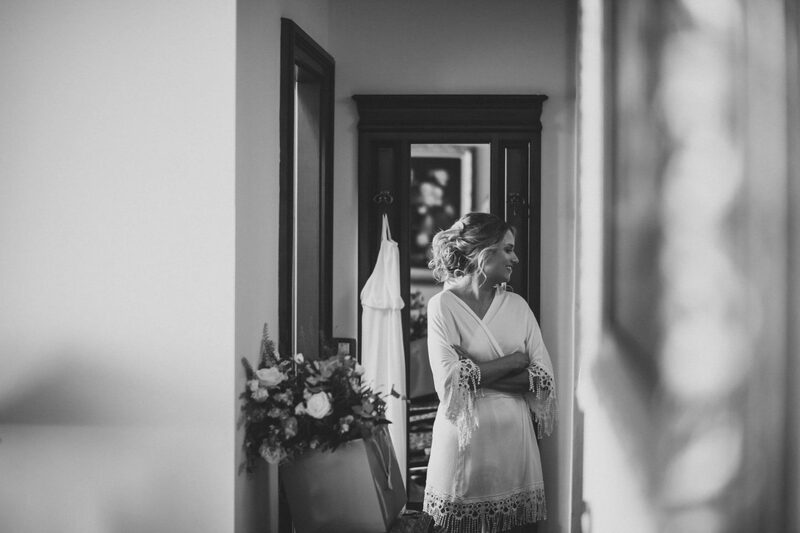 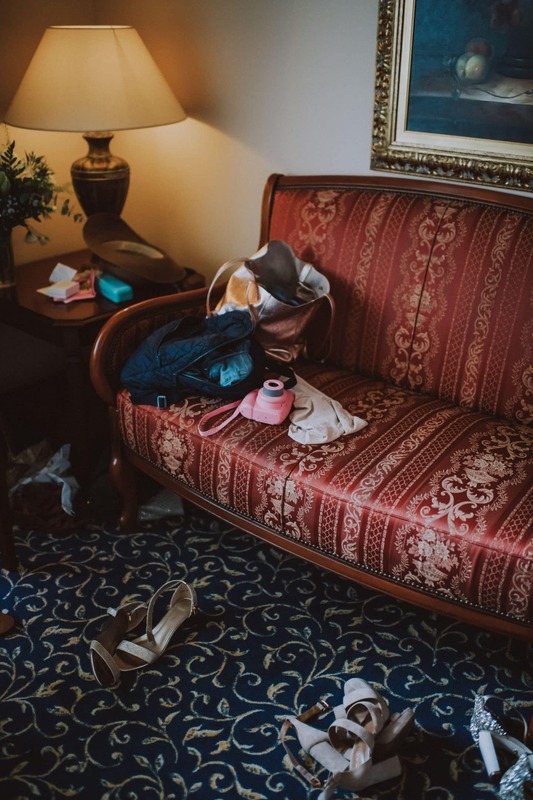 Both Iris and John got ready at the villa, together with their bridesmaids and groomsmen. 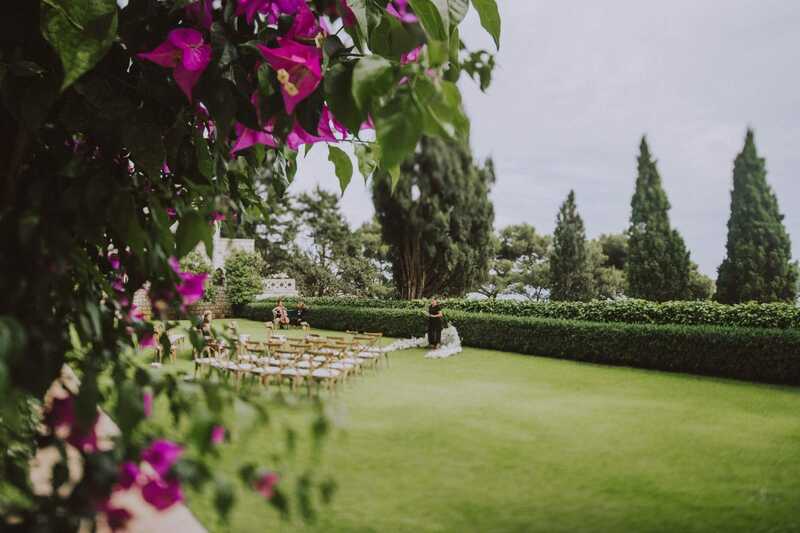 As mentioned before, the green villa’s courtyard was the venue where the wedding ceremony took place. 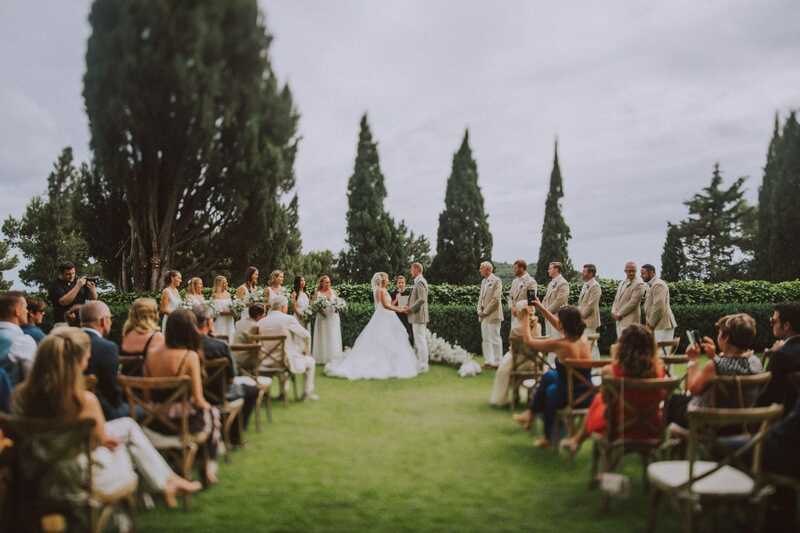 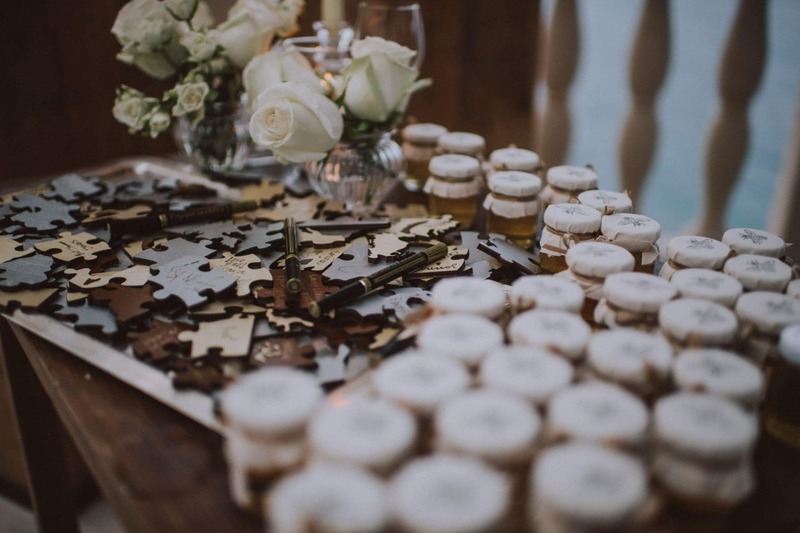 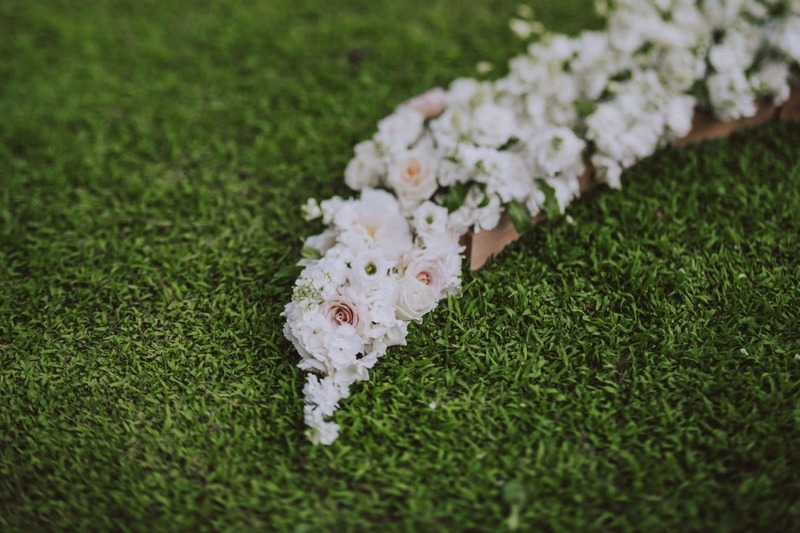 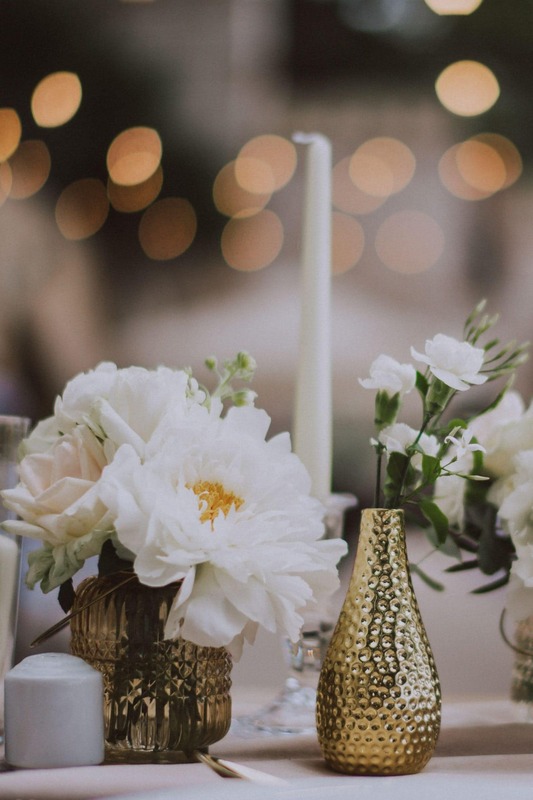 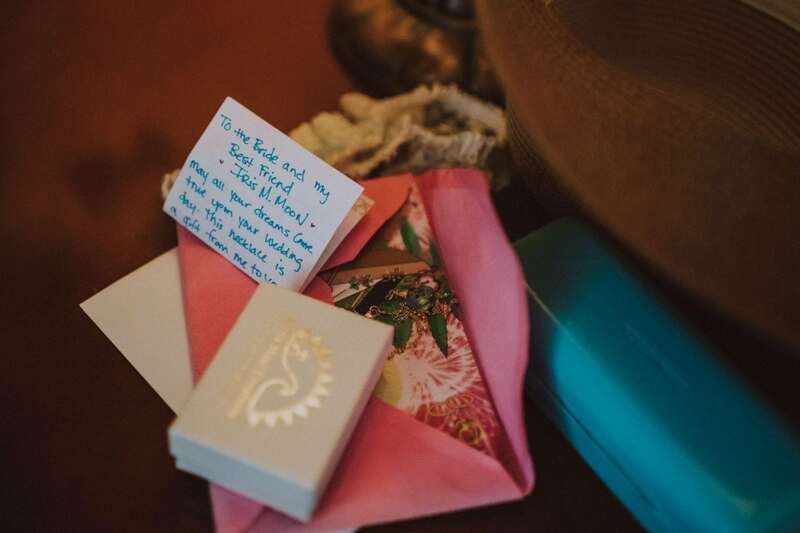 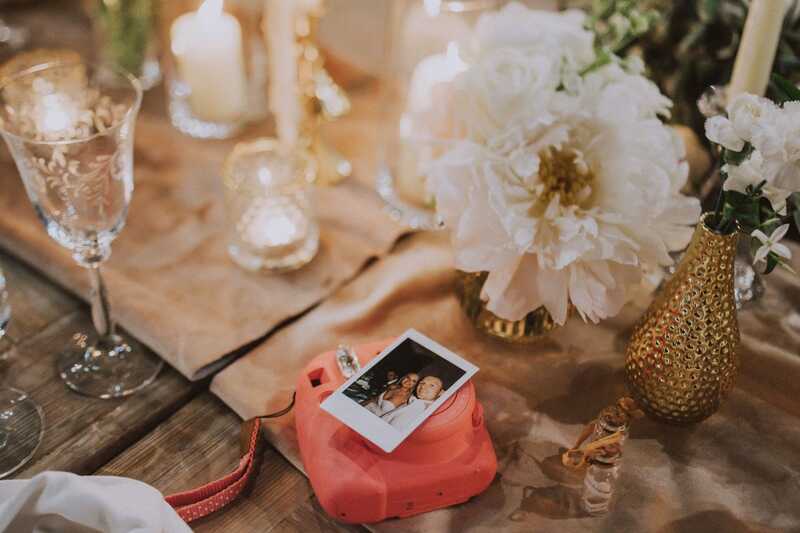 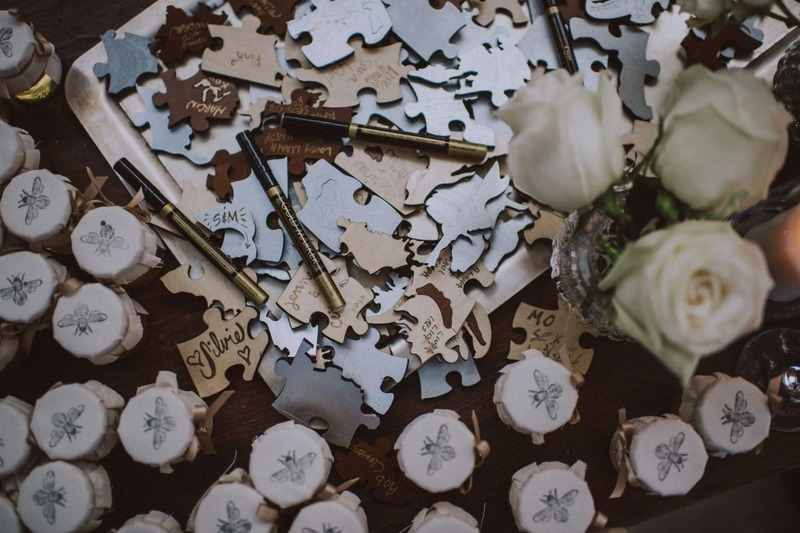 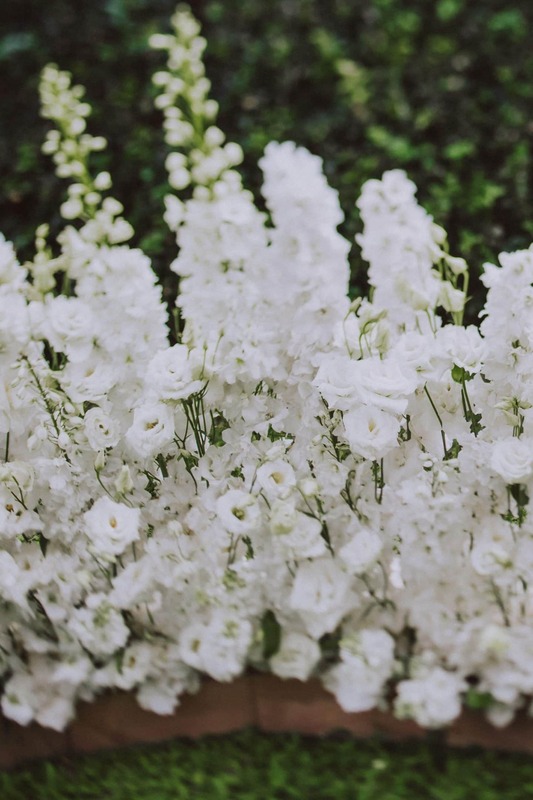 An enchanting place where the bride and the groom exchanged vows in front of their delighted families and friends. 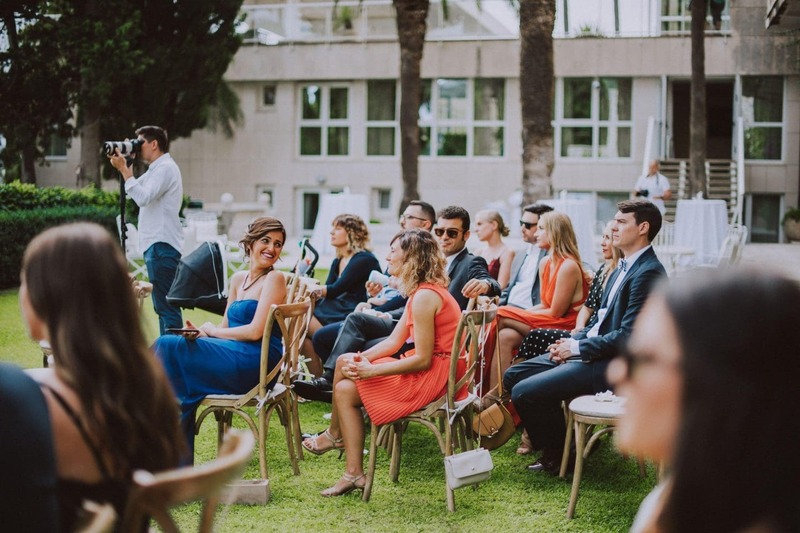 After the traditional group photos with the wedding party, the guests enjoyed cocktails and canapes in the garden, before sitting down for the mail. 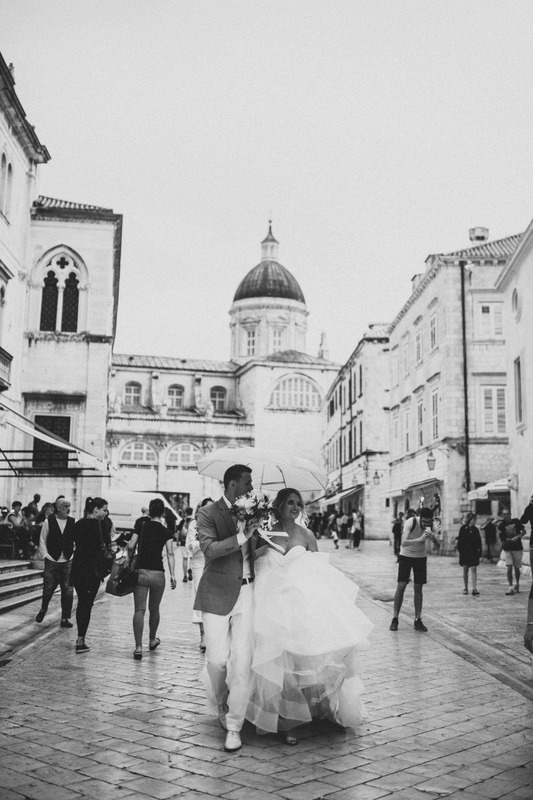 Getting back with the newlyweds after their couple photo session in Dubrovnik old city, everyone greeted them warmly, with toasts and celebrations. 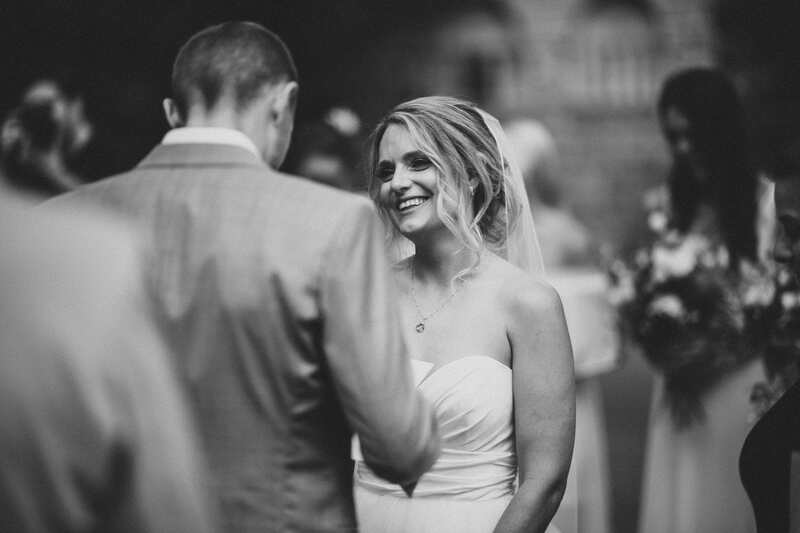 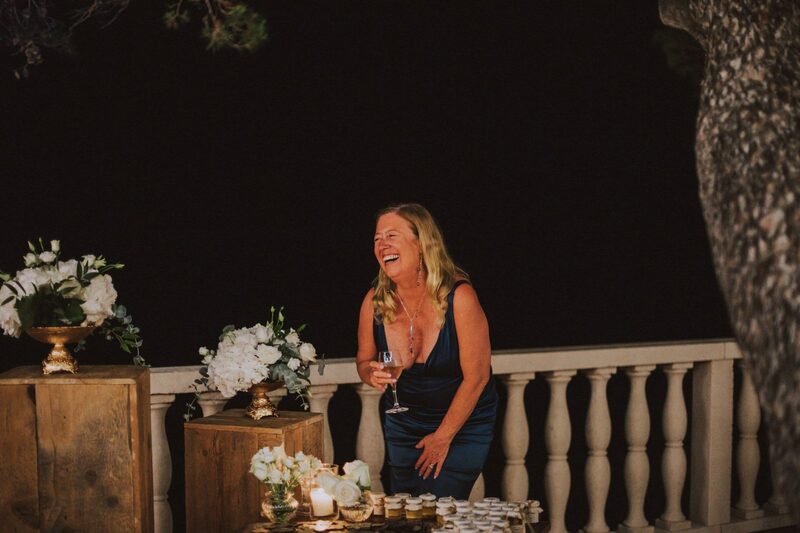 Traditional speeches, toasts and lots of laughs! 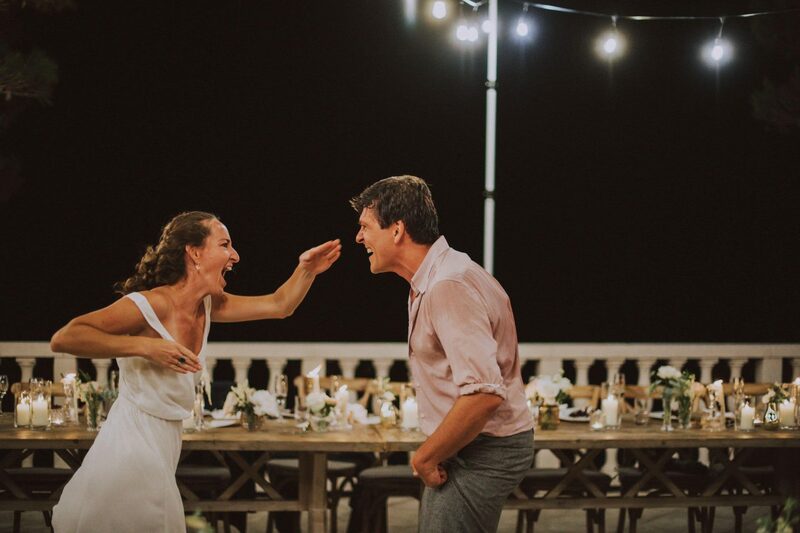 The fastest cutting of the wedding cake ever in front of their families and friends, and it was time to dance and celebrate until late night. 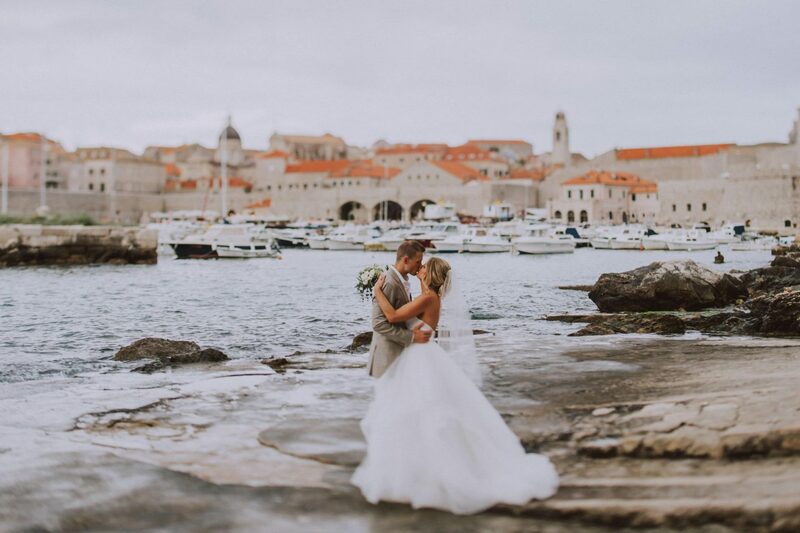 Their wedding was just like they are, incredible. 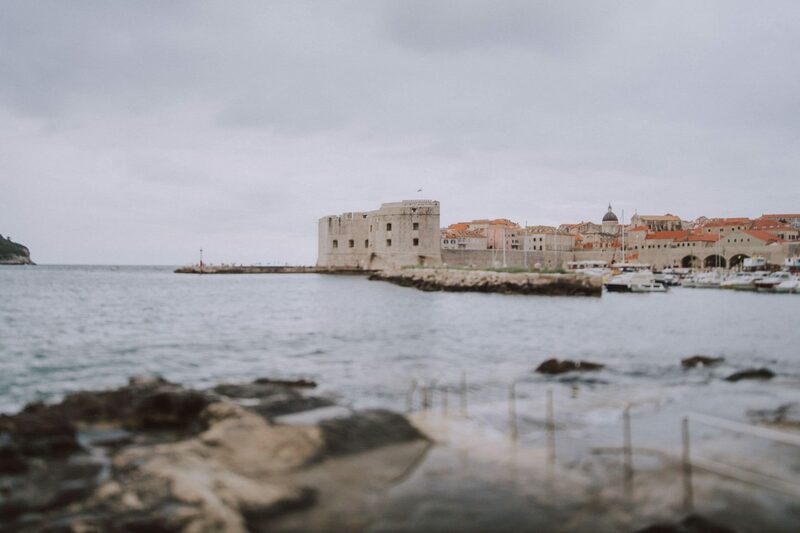 It was one of those days you know the weather was going to be a little bit unsure but as it turned out, the clouds came and so did the light rain all right at the perfect time. 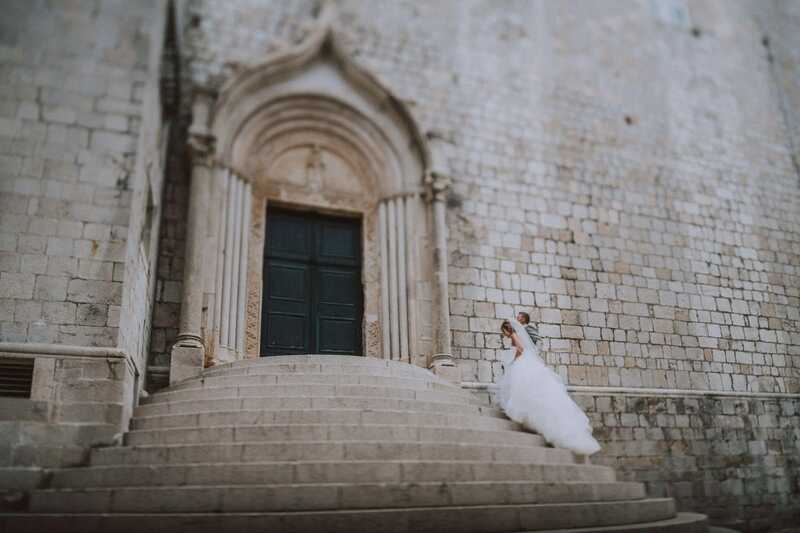 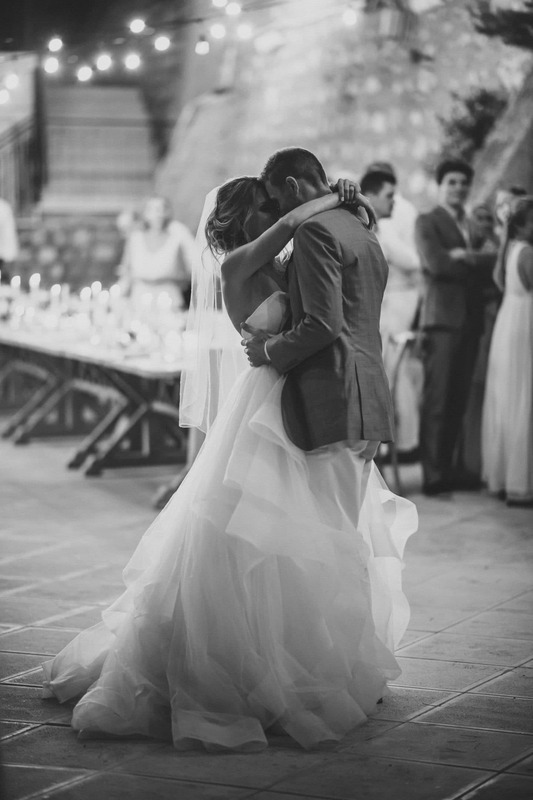 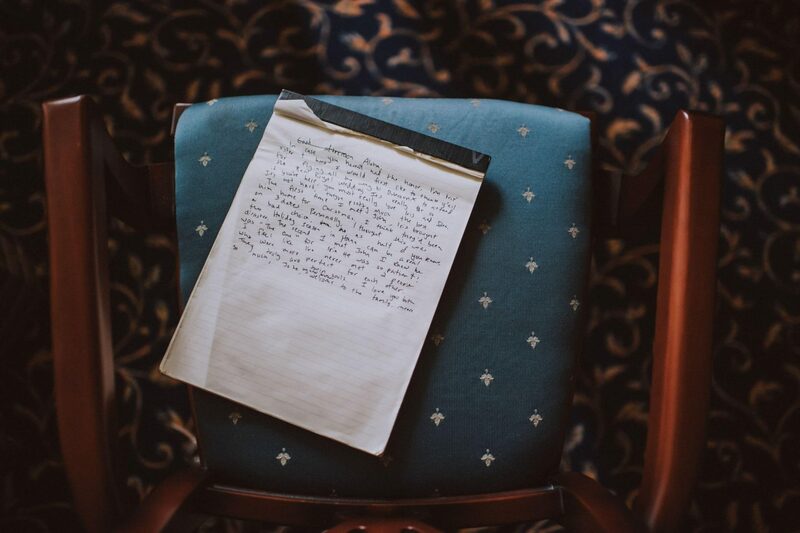 LOOKING FOR YOUR WEDDING, HONEYMOON, ELOPEMENT, PROPOSAL OR ENGAGEMENT PHOTOGRAPHER IN DUBROVNIK?